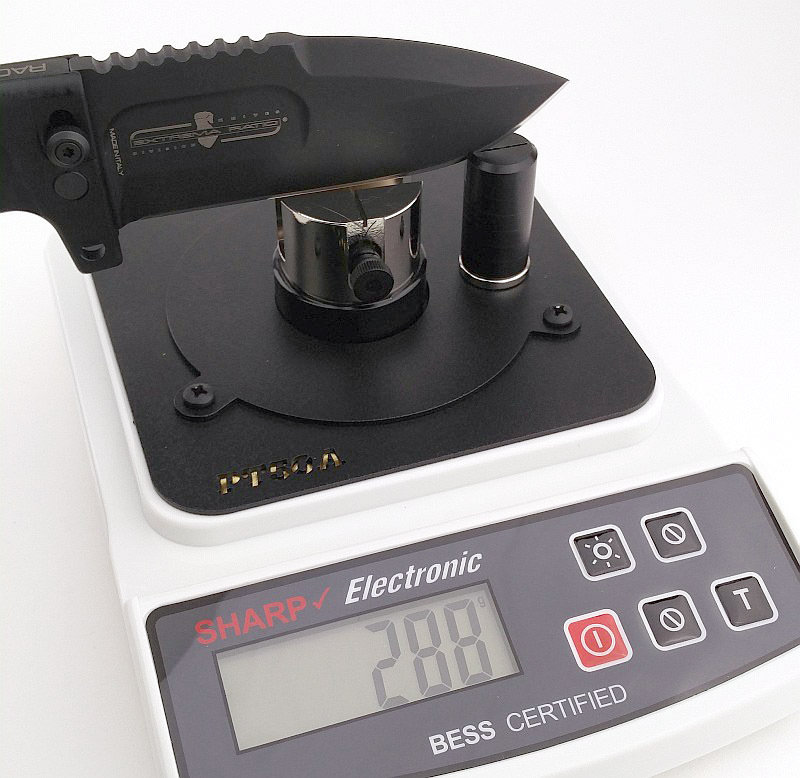 Extrema Ratio’s RAO II is an update of the original RAO which was developed back in 2006. 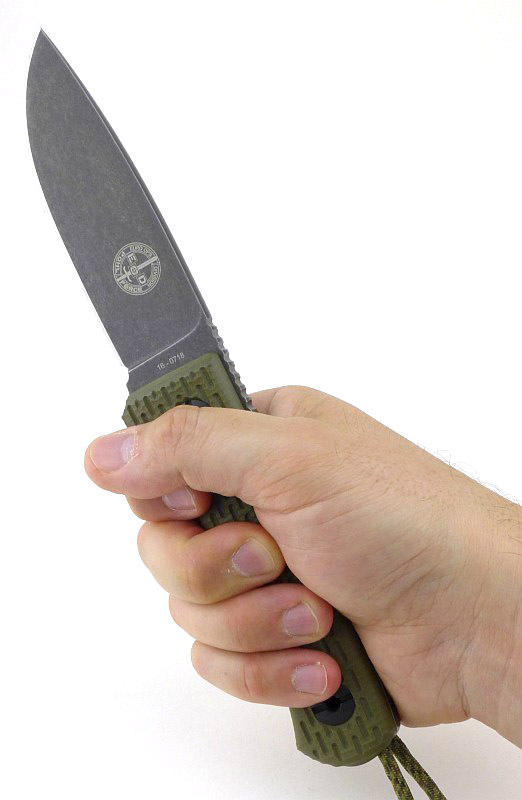 Designed as a super tough, compact, survival and field knife, the brutish RAO was an immediate modern classic. 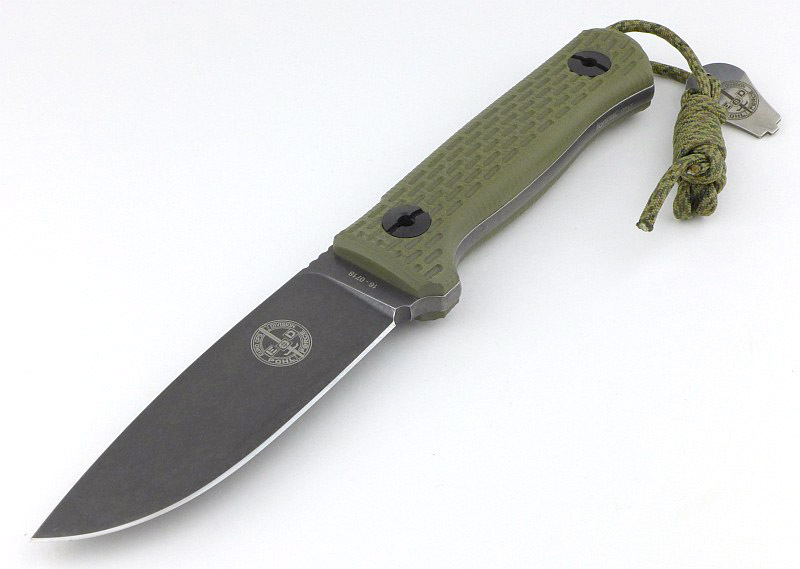 In 2014, with improved ergonomics and a new drop-point blade, the RAO II widens the appeal of the RAO to those that found the original tanto blade a bit too specialised. 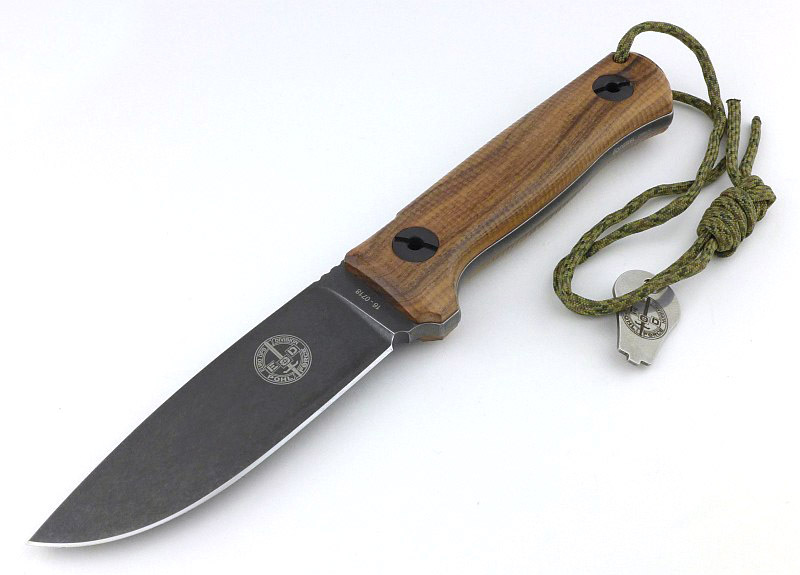 On a personal note, this is one of those knives I knew had to be in my life, and it has not disappointed. 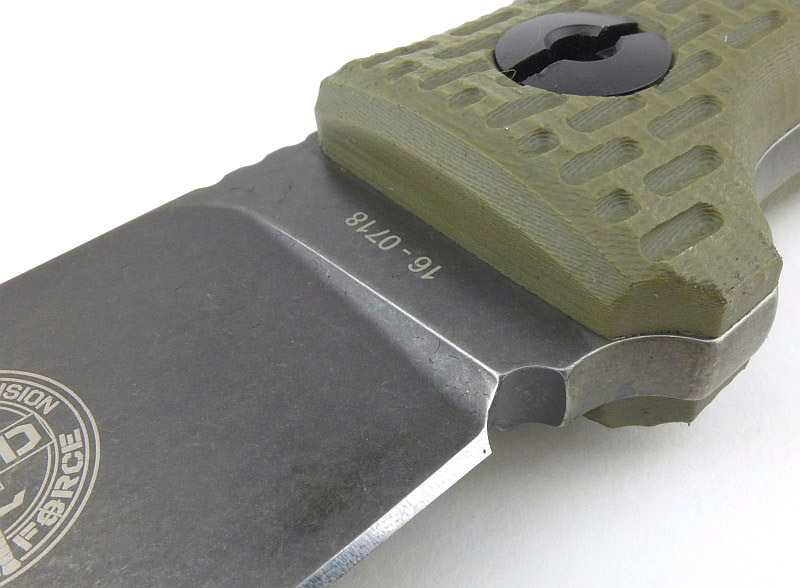 The blade is made from Böhler N690Co steel. 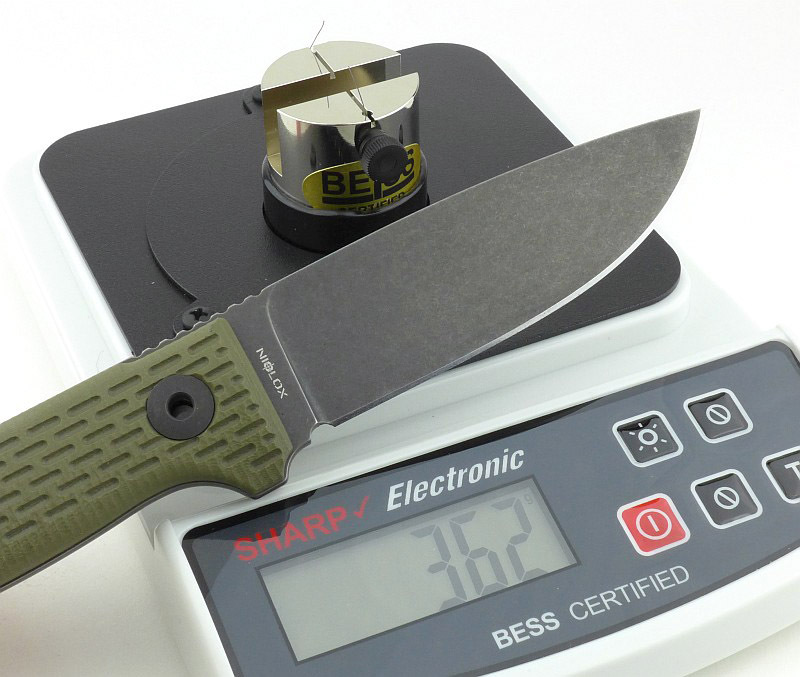 The RAO II’s factory edge has an average BESS ‘C’ sharpness of 279. 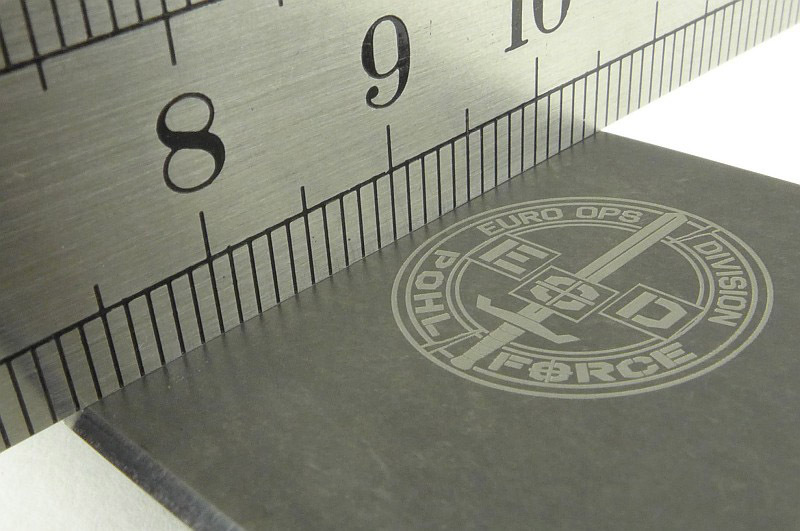 A score below 300 for a factory edge is good and it will slice 80gsm paper nicely and slices into the rounded edge of a doubled over sheet of the same 80gsm paper. 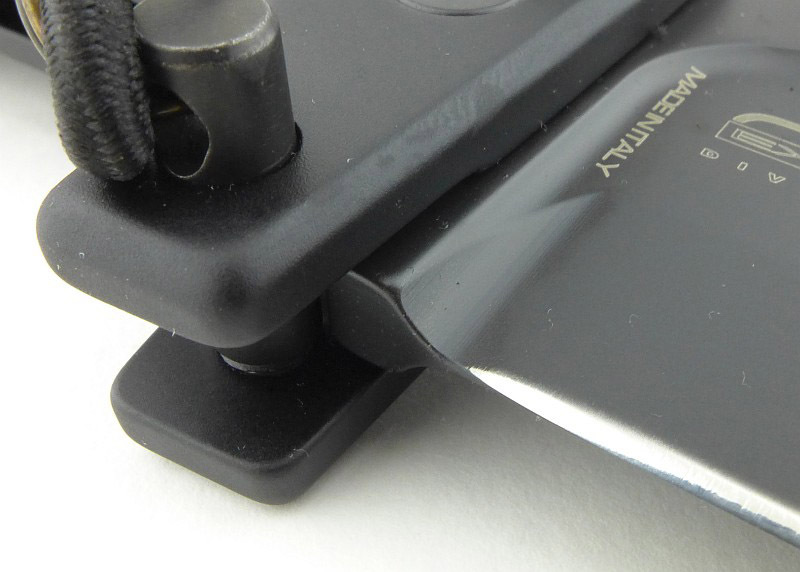 Unfortunately a small nick in the original edge catches in some cuts causing some tearing. 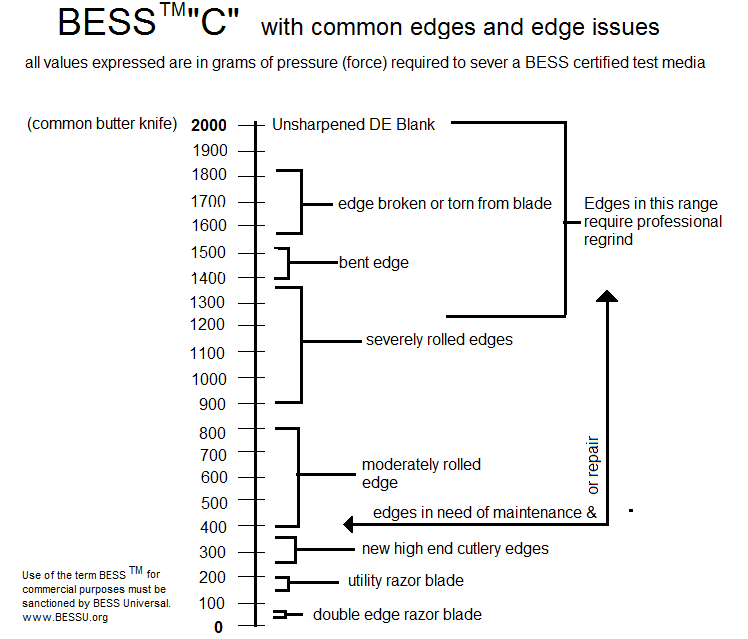 It is quite common for factory edges to have some flaws, and these can easily be sharpened out, so this is just an observation. 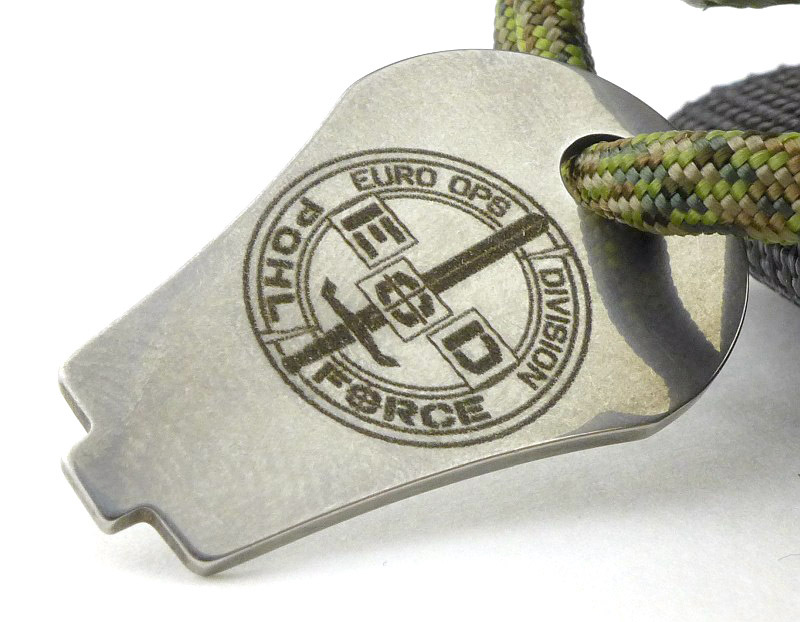 “In June 2006, the “185° Rgt. 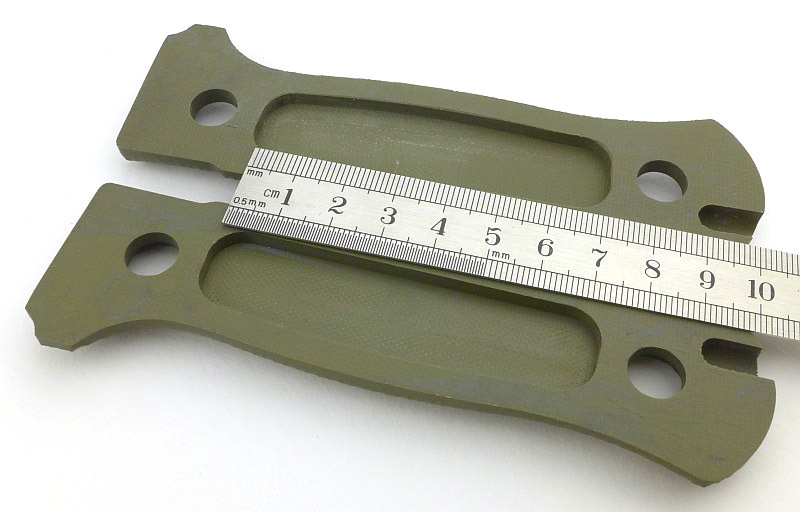 Ricognizione e Acquisizione Obiettivi” (Target Acquisition Regiment) airborne “FOLGORE” (185° RAO) entrusted to Extrema Ratio the development of a unique knife fitting the unit’s specific operational duties. 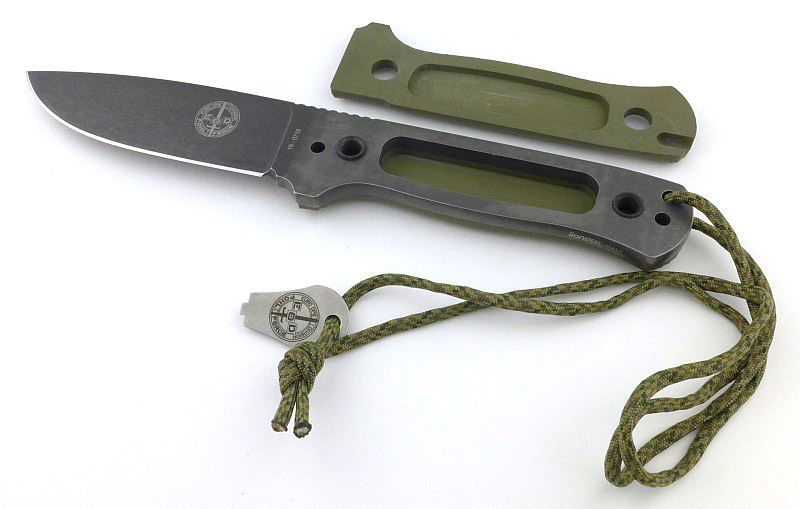 This resulted in the RAO: not an oversized folder as much as a compact survival & field knife, with a heavy and dependable blade. 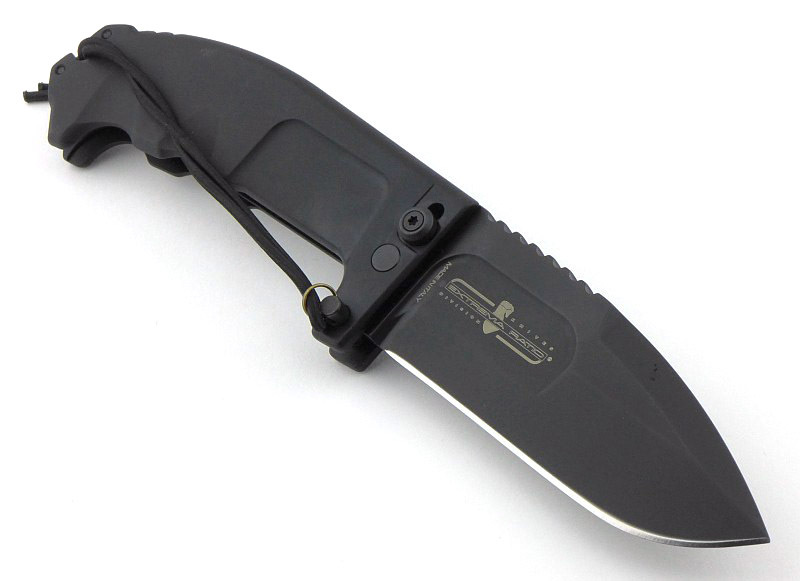 Its very reliable locking system, assisted by an extra safety device, effectively turns this folder into a fixed blade knife. 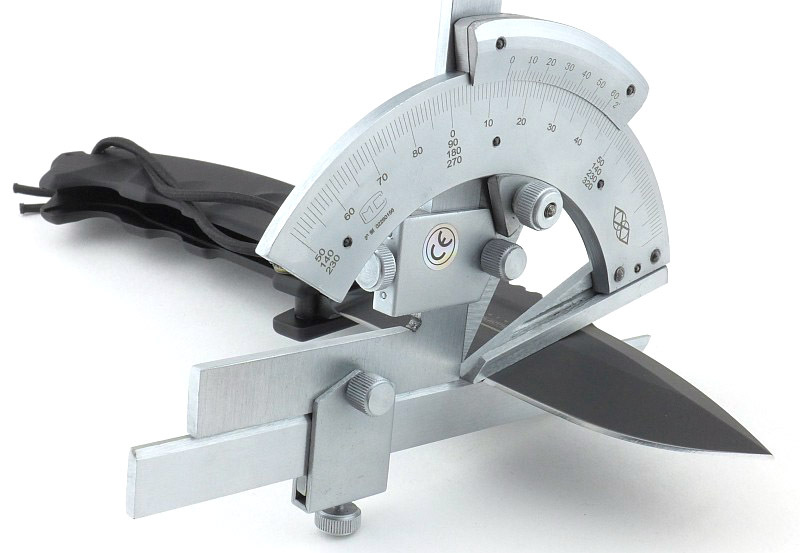 The opening and closing is to be performed with both hands in order to minimize the risk of self-inflicted injuries, as the blade, because of its weight, is a veritable guillotine. 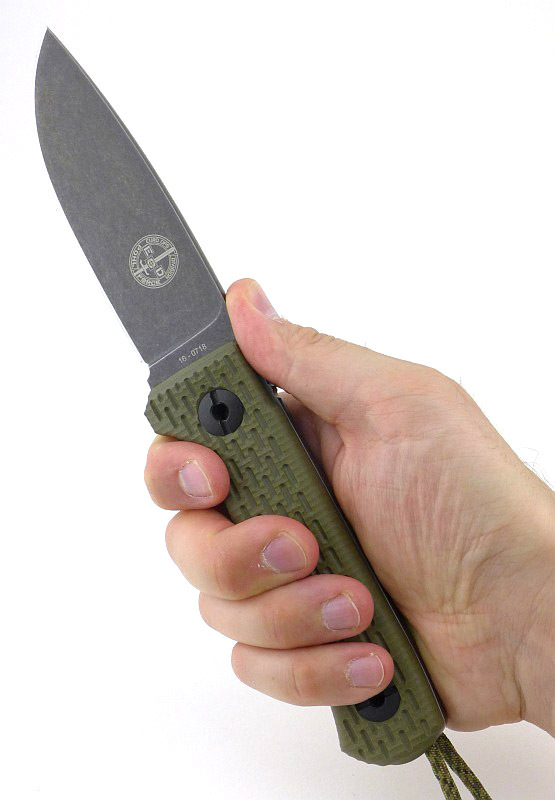 The extra safe device is a steel pin to be hand-screwed through two holes by the guard section of the massive Anticorodal aluminum handle – its presence between blade and hand also acting as a great psychological boon. 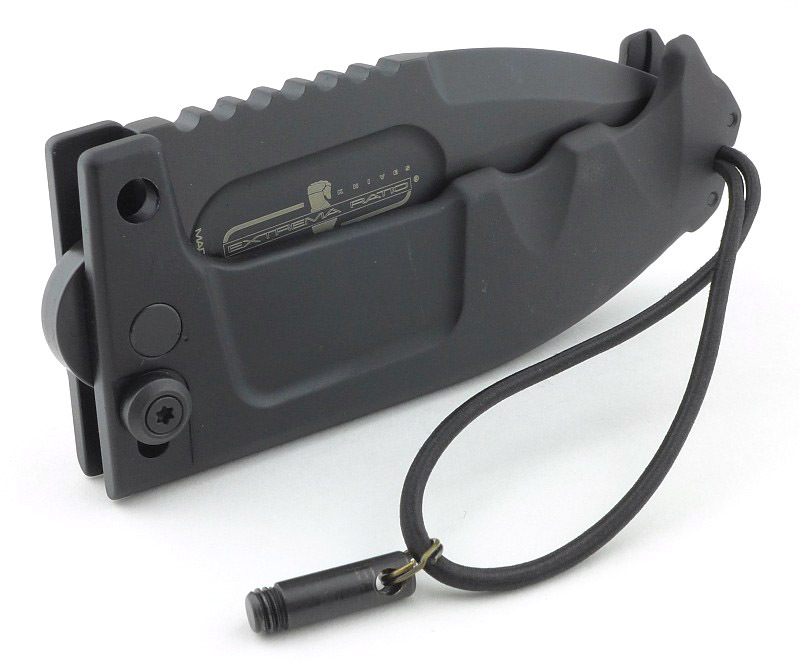 The sheath is an essential part of this weapon system: it holds a diamond-plate sharpener and enables user to carry the knife either in open position, held in place by a cord and two clips, or closed, inside the front pocket. 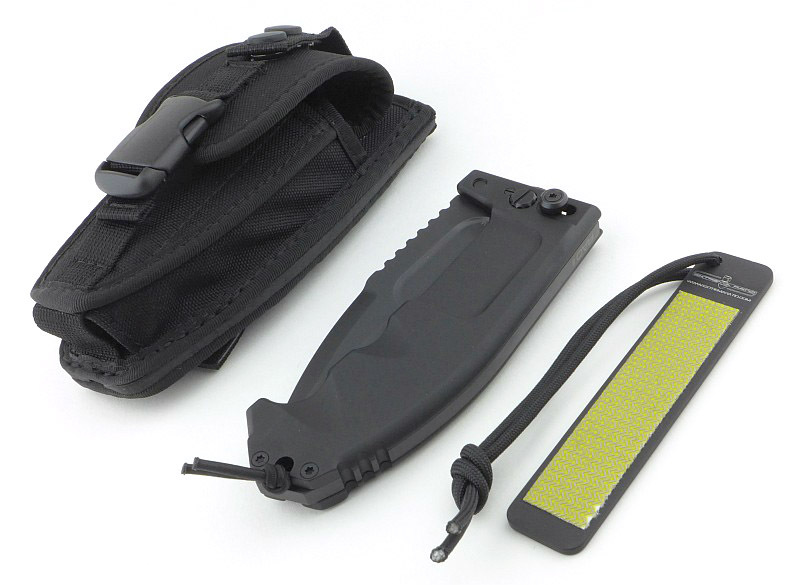 The sheath can be attached to tactical vests or common belts, being MOLLE system-compliant. 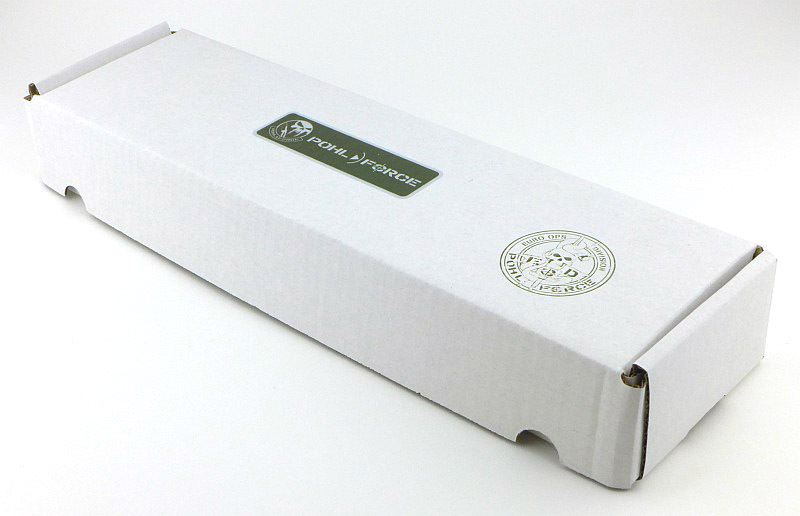 Extrema Ratio’s knives are always well presented; the RAO II comes in a quality cardboard box. 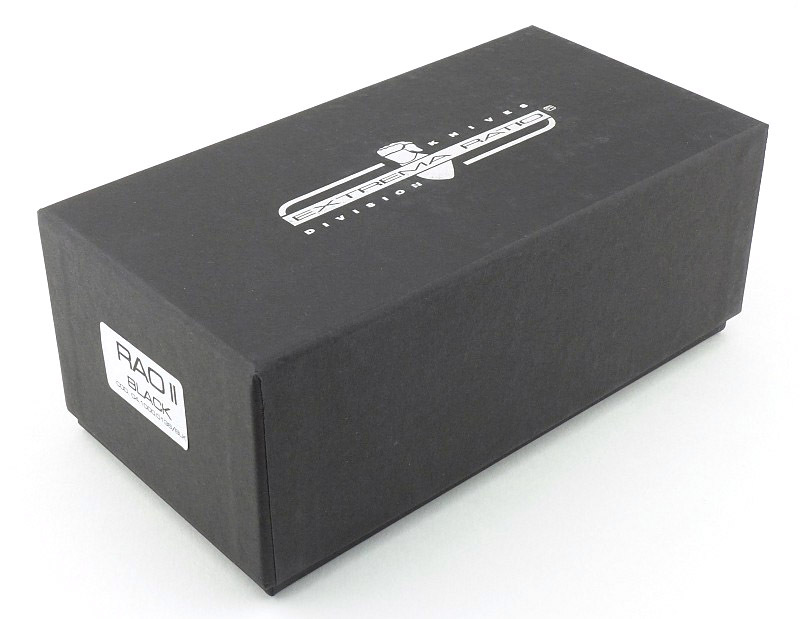 Sliding the lid off, shows the RAO II (in a plastic bag) fills the box. 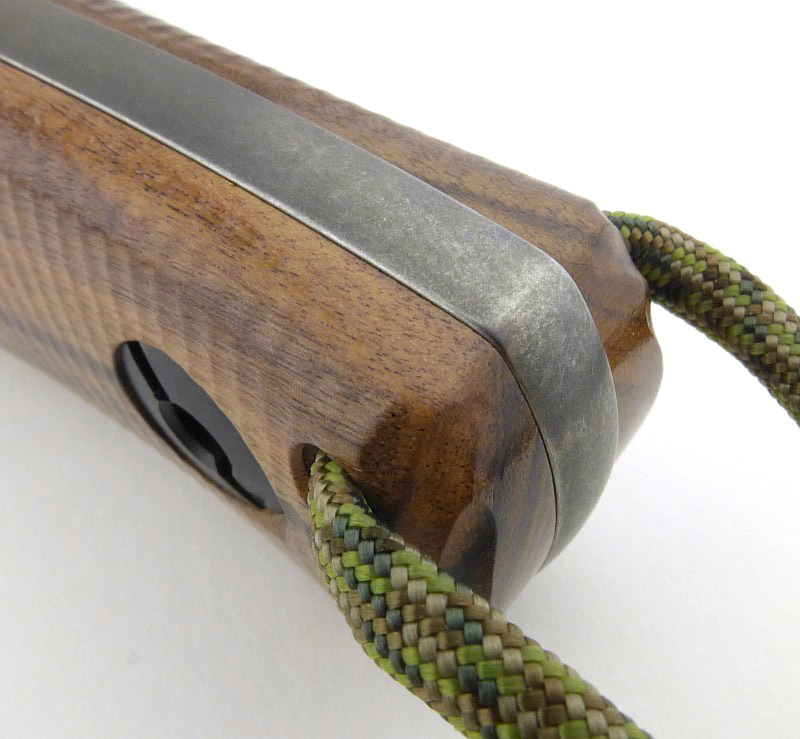 The RAO II arrives in its dual purpose sheath. 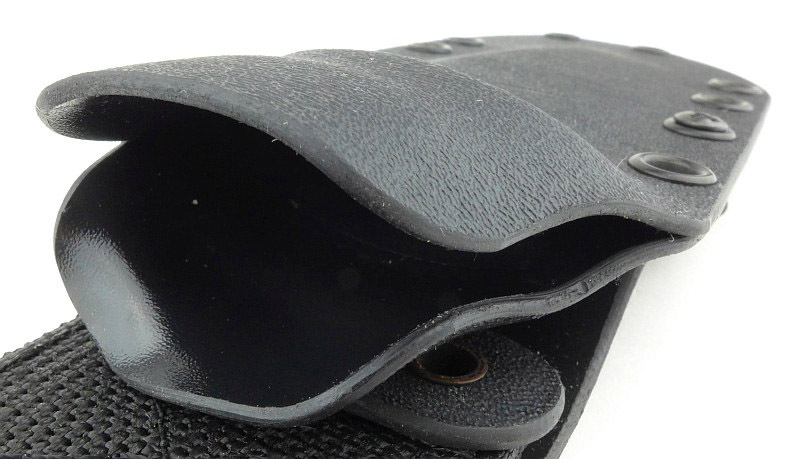 We need to have a closer look at this sheath before we move onto that amazing knife. 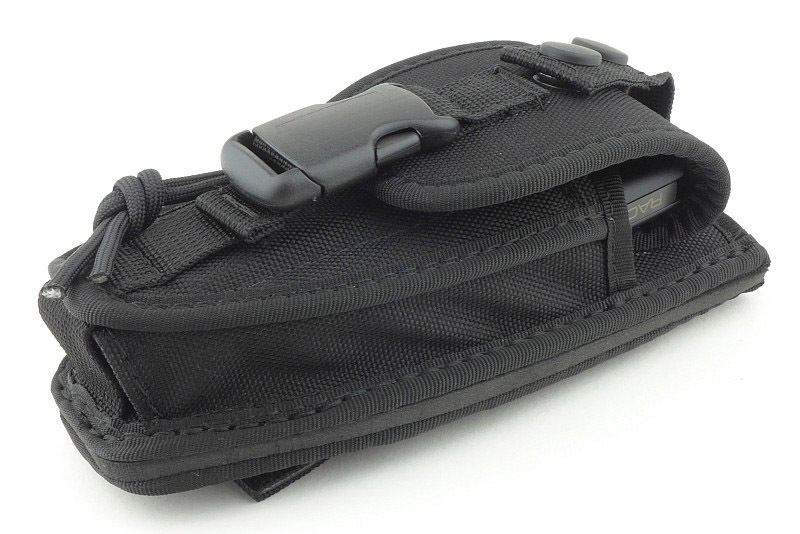 On the back are the MOLLE fitting straps. 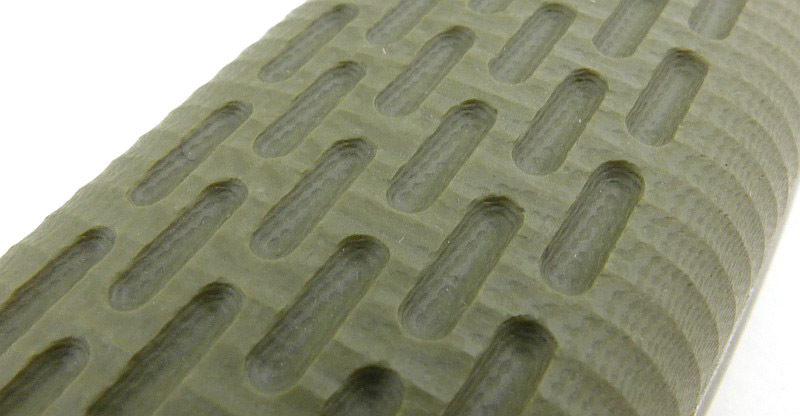 As supplied they are not woven into the webbing but just held with the press studs. 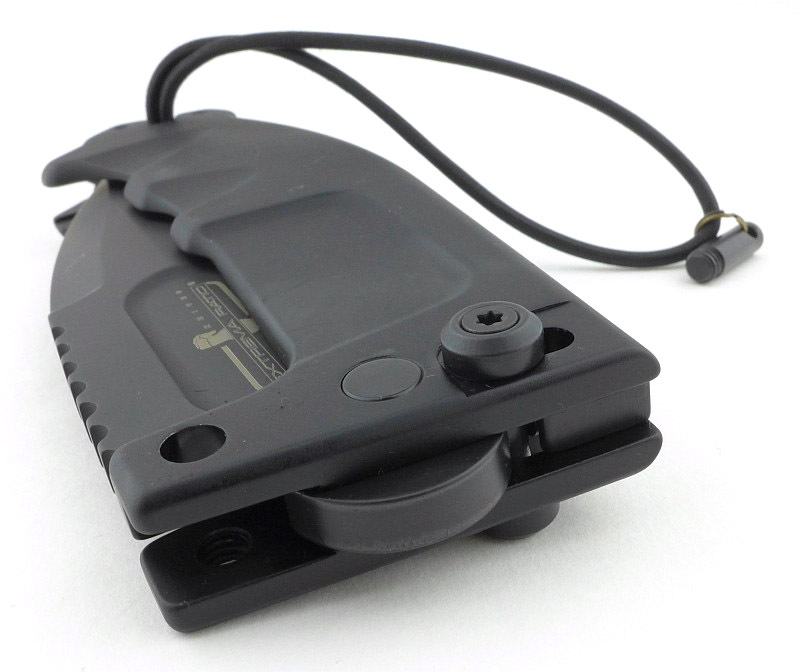 As with most MOLLE mounts, the fit is pretty tight. 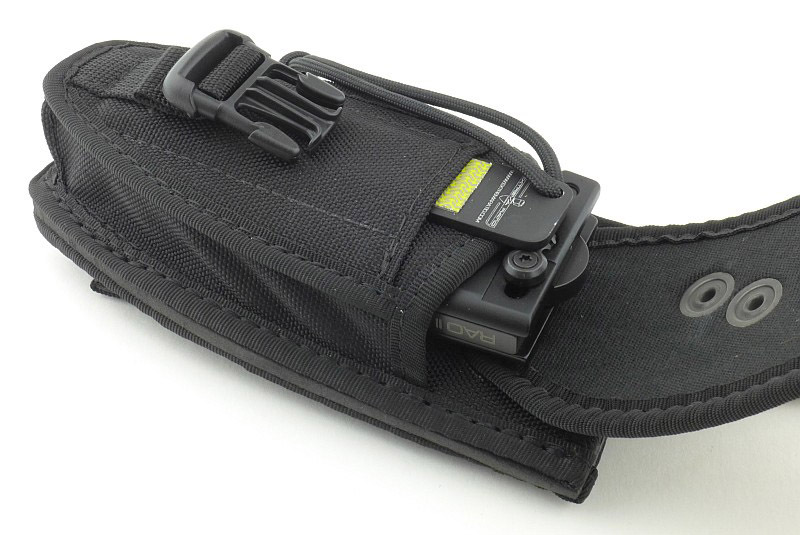 If just using the webbing next to the press studs, the MOLLE straps form a belt loop, which is how I’ll be using this for the most part during testing. 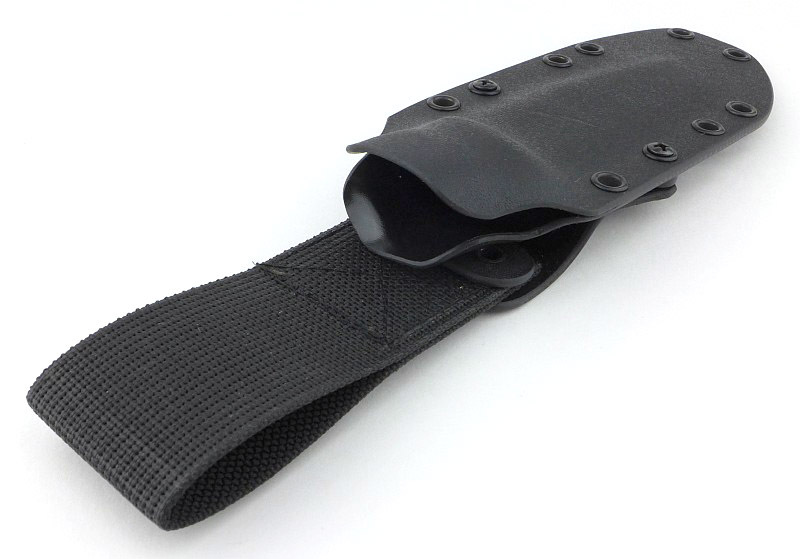 This dual purpose sheath has a large front pocket with plastic buckle fastener holding down the flap. 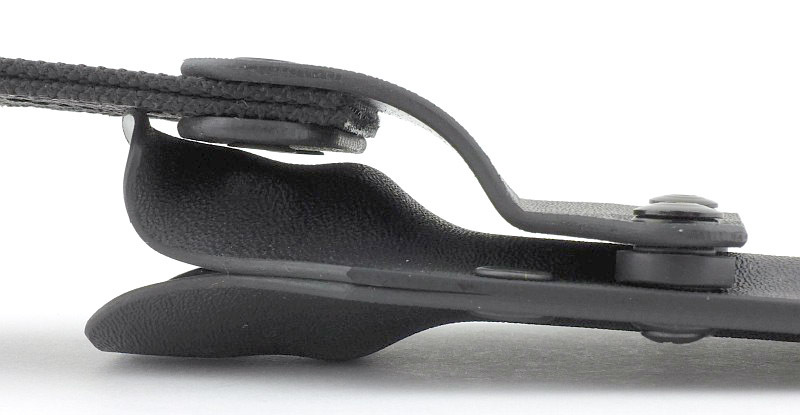 The flap has another strap attached to it with two press studs. 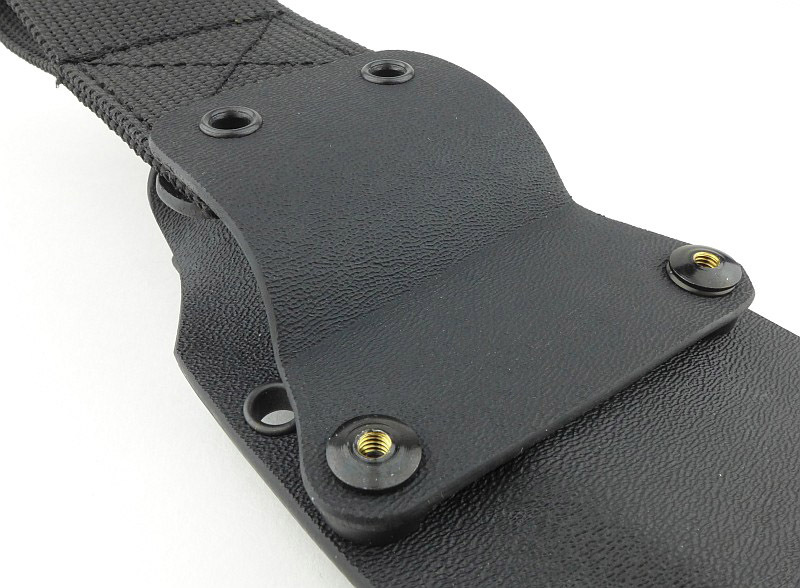 This is the retaining strap for when the sheath is used to carry to opened RAO II. 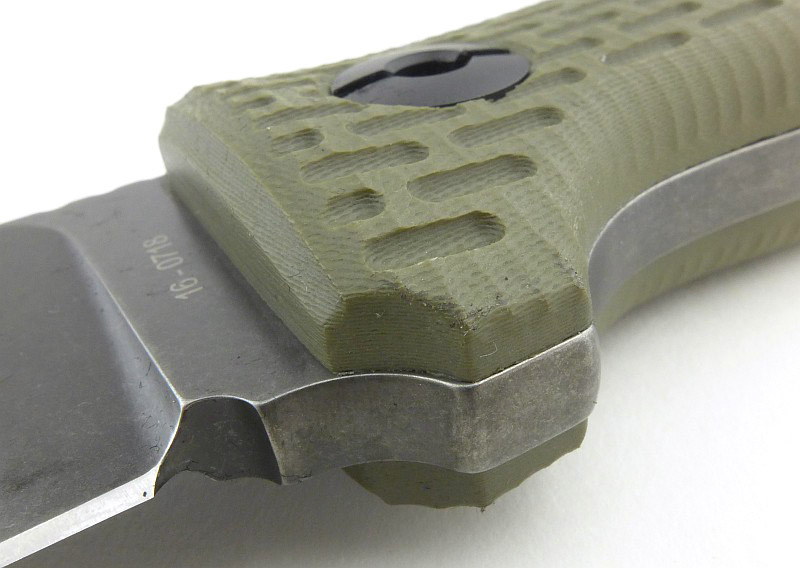 Releasing the strap from the two press studs and now you can see where the blade of the opened knife is inserted. 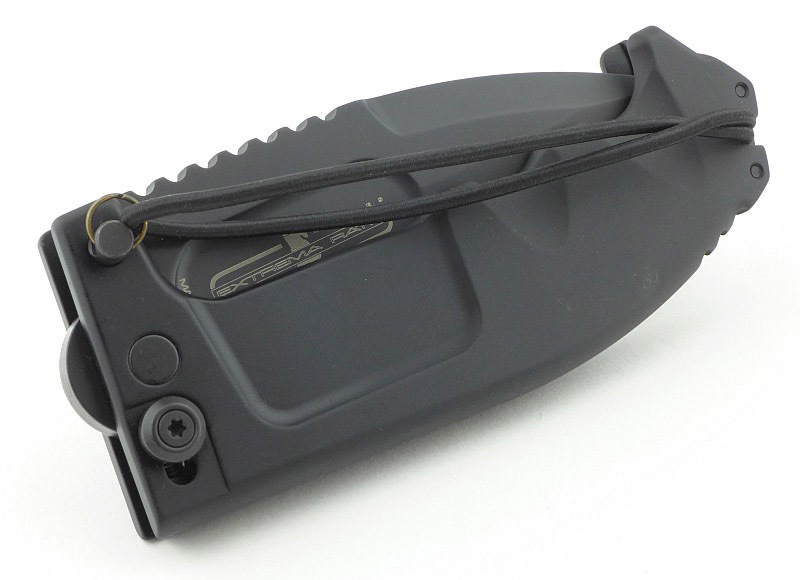 Flipping open the flap covering the front pocket and you find the diamond sharpener slipped into a small pocket in front of the main compartment. 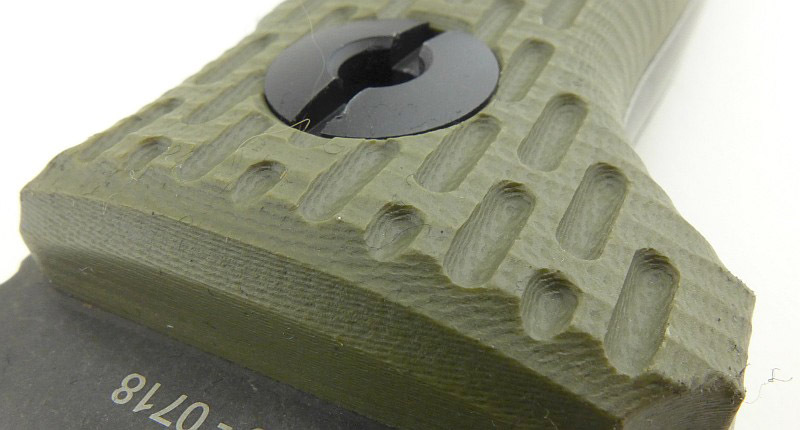 This sharpener is a steel plate with a diamond pad on it. 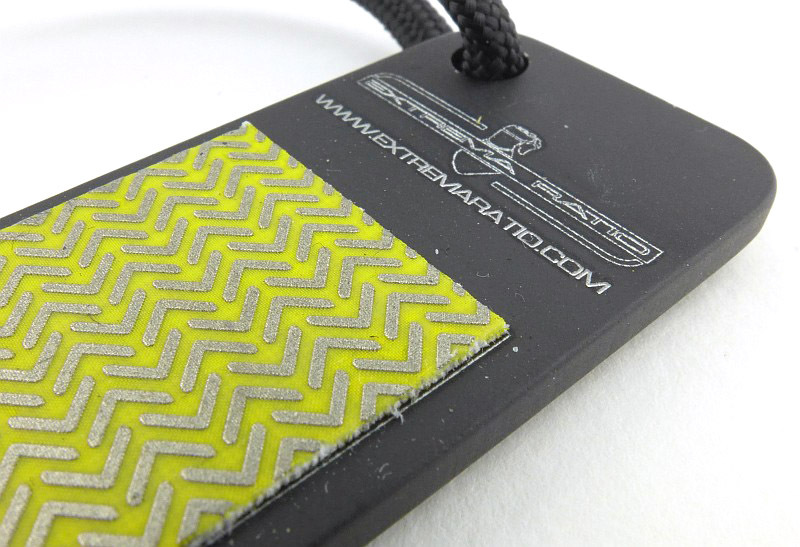 The diamond pad appears to be a special fabric adhesive tape with a diamond abrasive. 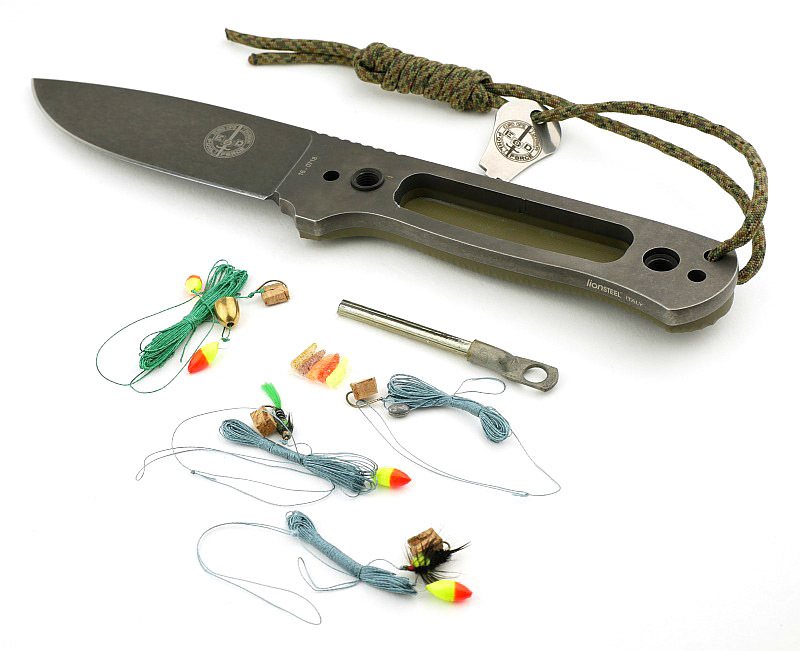 There are the three major components, the sheath, the knife, and the sharpener. 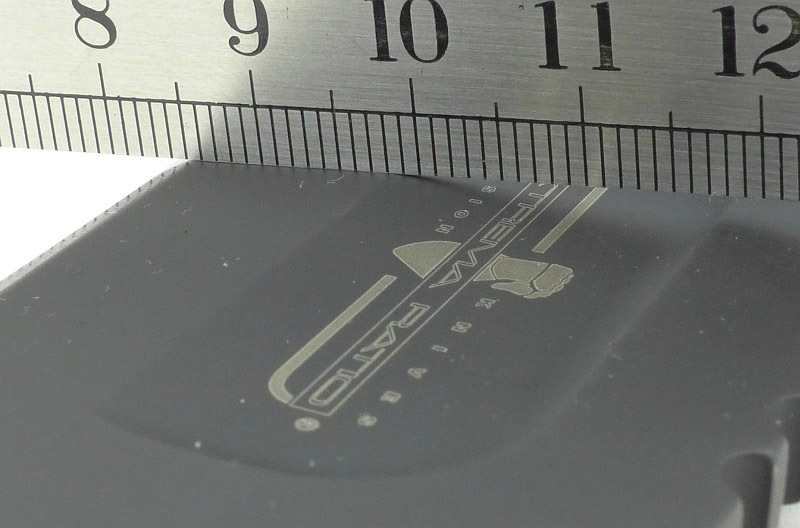 ‘RAO II’ is engraved on the back-spacer. 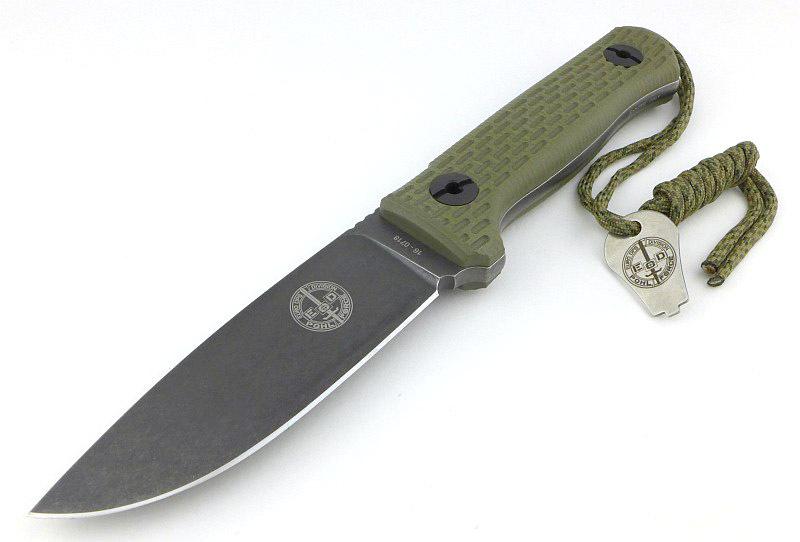 There is no mistaking the presence of this knife. 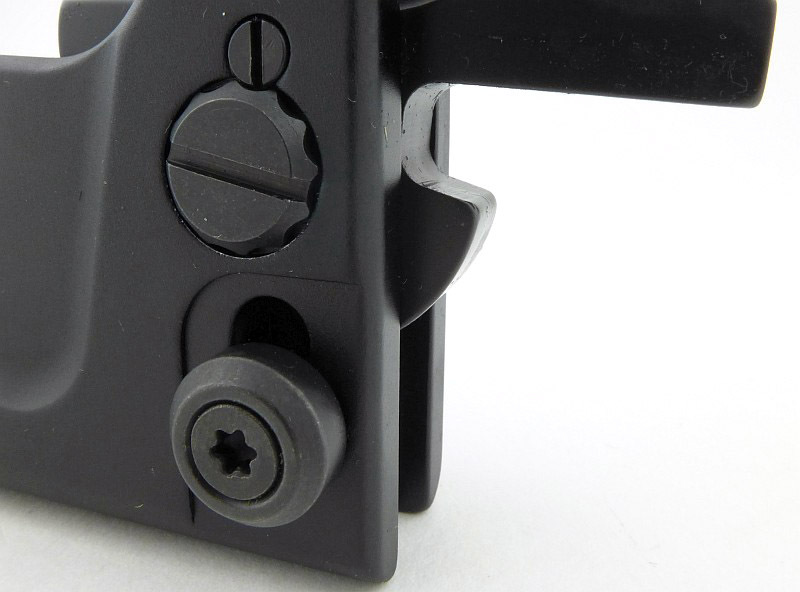 Even when folded it is a beast. 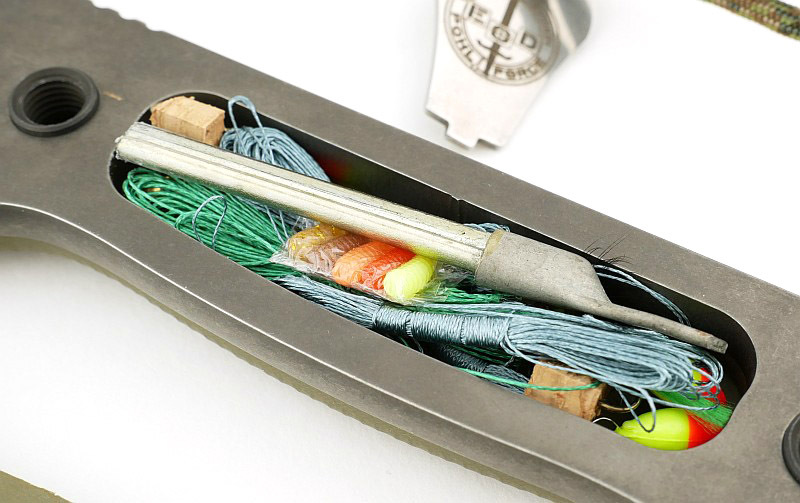 Out of the box, the RAO II is actually locked shut. 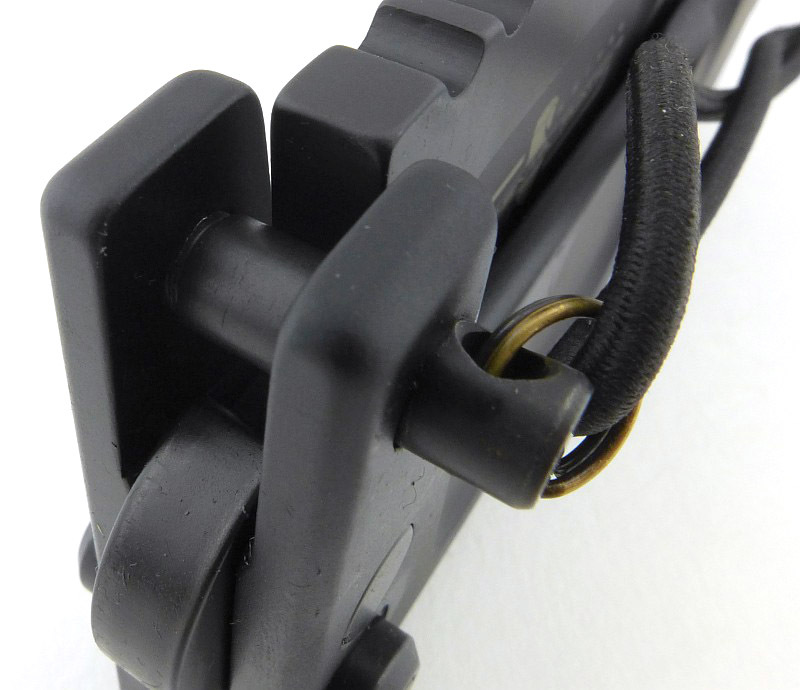 We’ll look at the special locking/safety pin next. 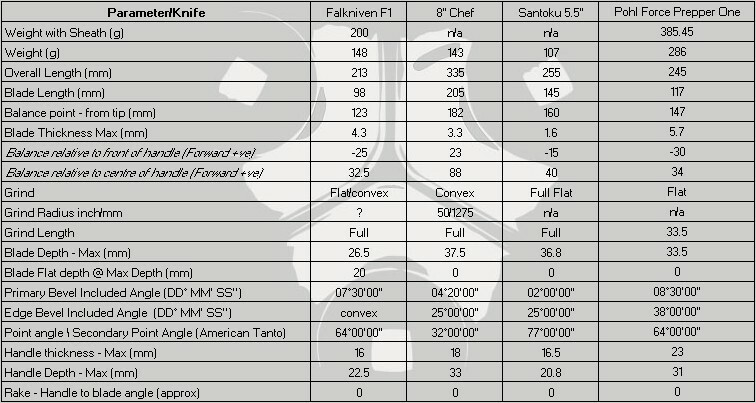 So, one of the RAO II’s special features is its safety locking pin which effectively makes it into a fixed blade knife. 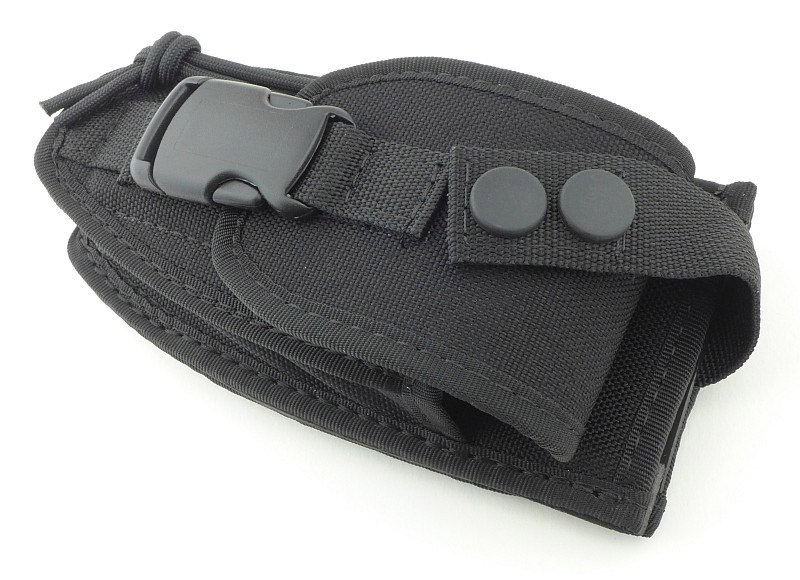 This fits through the finger guard and can be fitted with the blade open or folded. 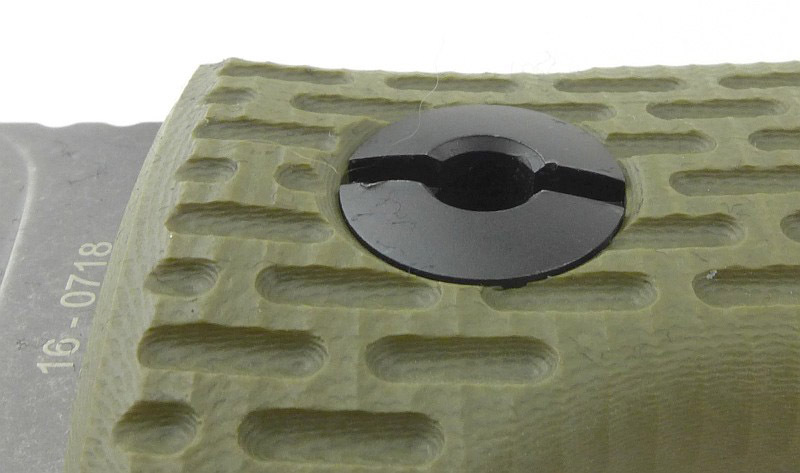 One end of the pin is threaded, so it screws into place. 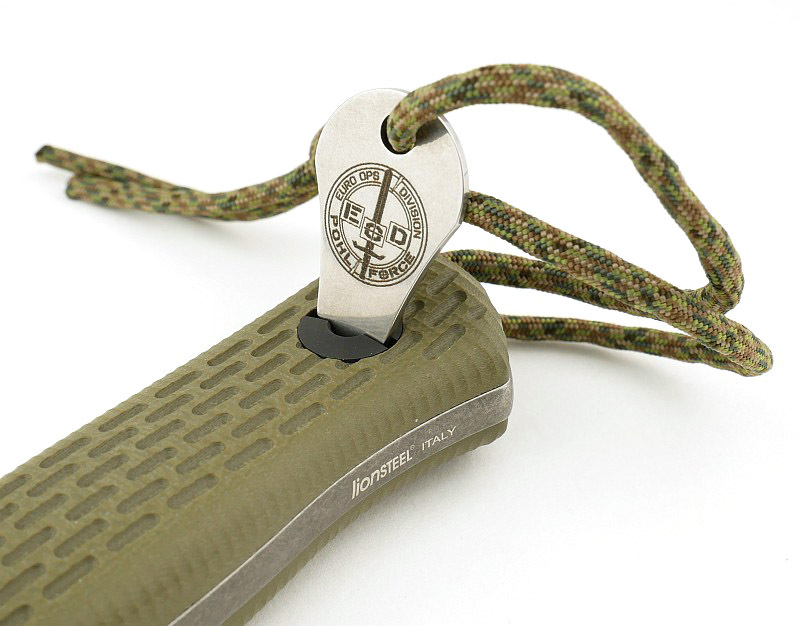 The pin is on a loop of elastic, so once removed it cannot be dropped or lost (unless the elastic cord is cut). 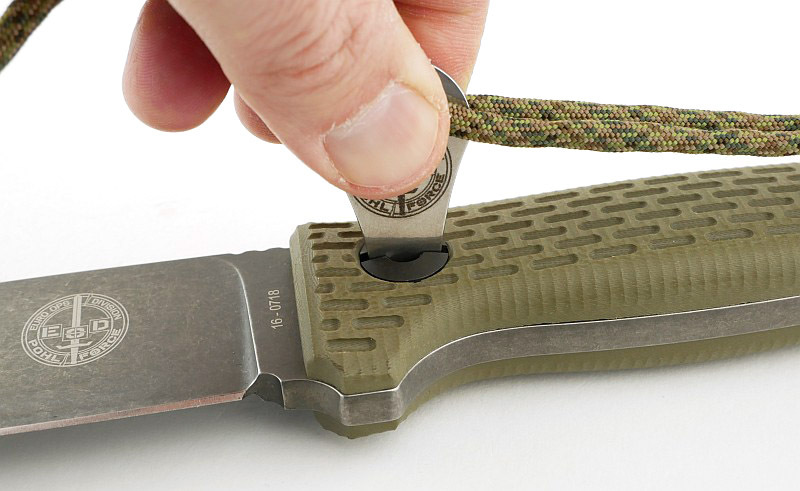 With the safety pin out of the way, the blade can pass between the two parts of the finger guard. 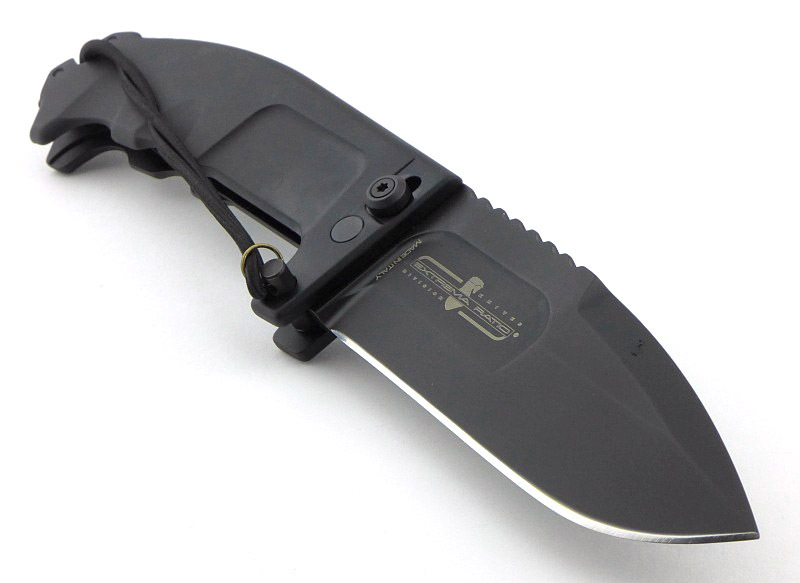 A sliding bolt-lock is used, and this also acts as the back-spring that keeps the blade in the folded position. 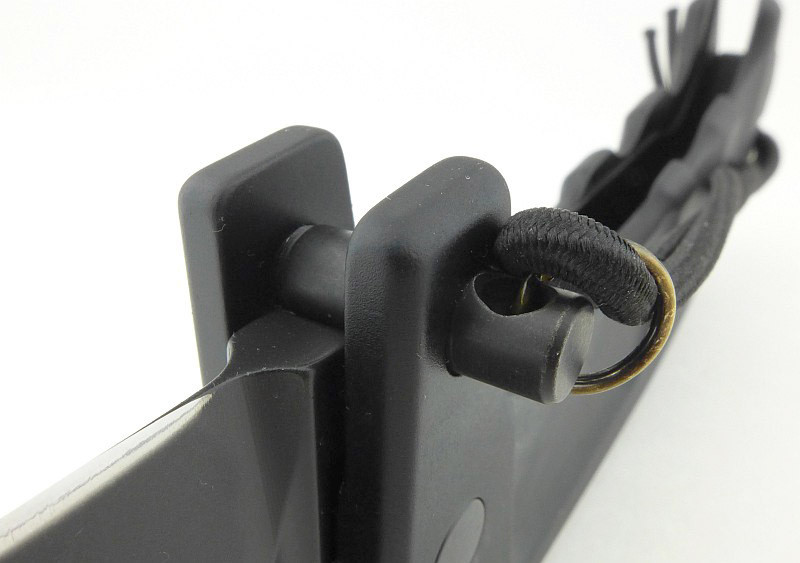 Now the blade is opened, we can put the safety pin back in place to secure the blade in the open position. There is no getting past that pin. 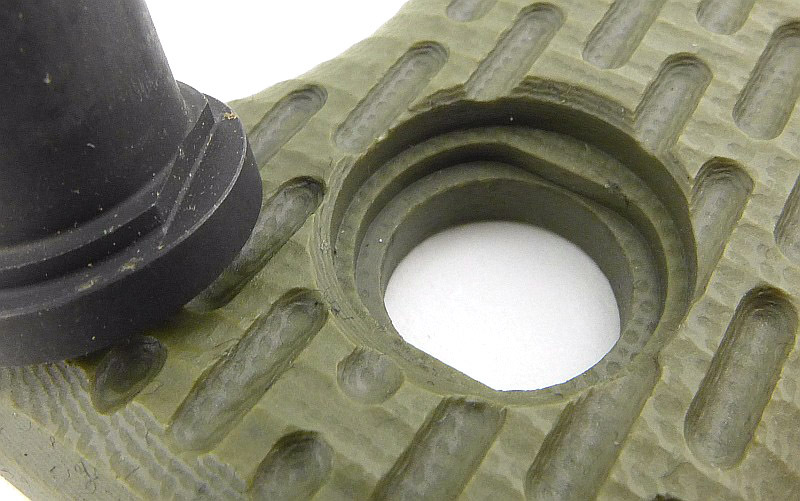 Pivot tension is set using a single sided pivot bolt (the other side is a blank plate). 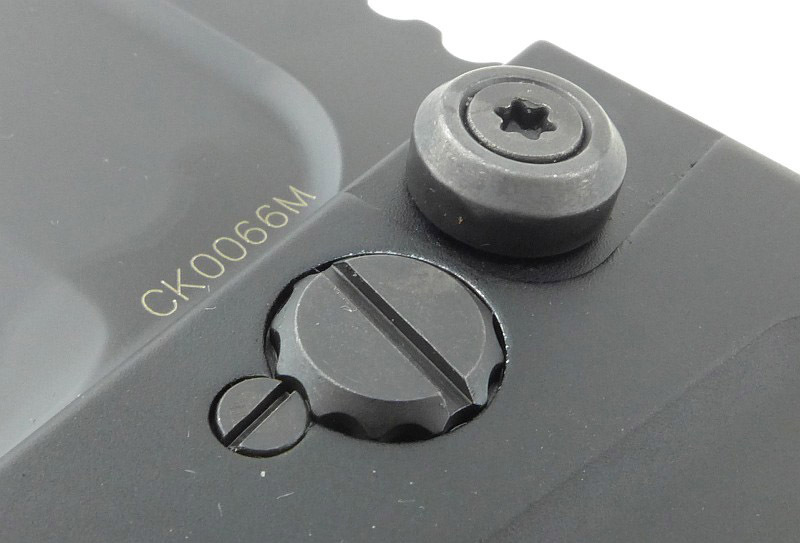 The pivot bolt head has a notched edge which allows it to be securely locked in place using the small screw that fits into one of the twelve notches. 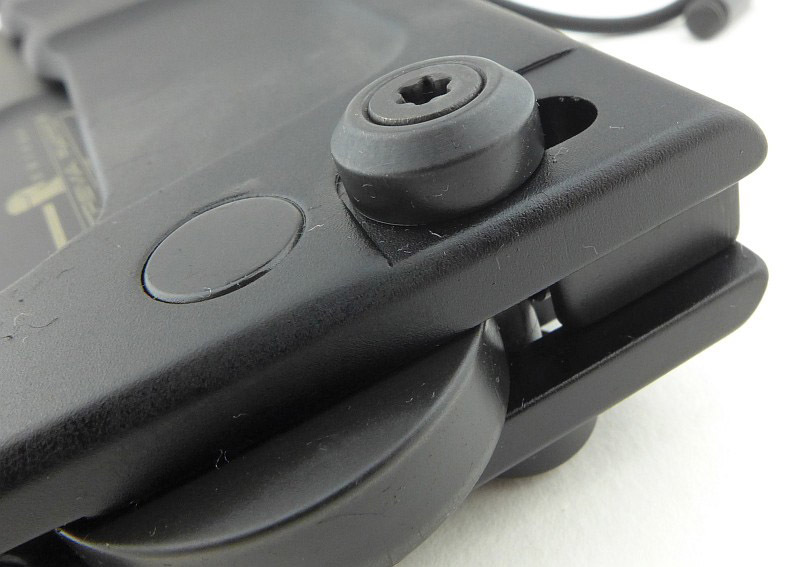 With the pivot locking screw in place, the pivot bolt cannot turn at all. 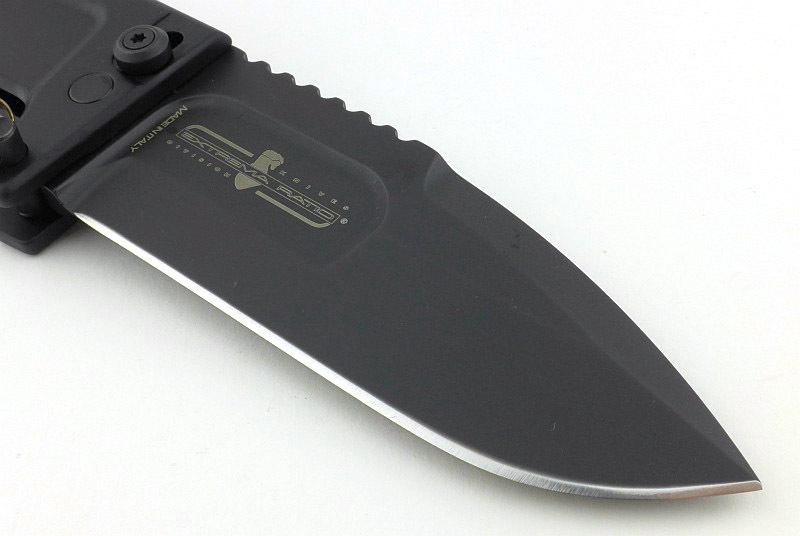 You can beat on this knife as hard as you like and that pivot bolt won’t come loose. 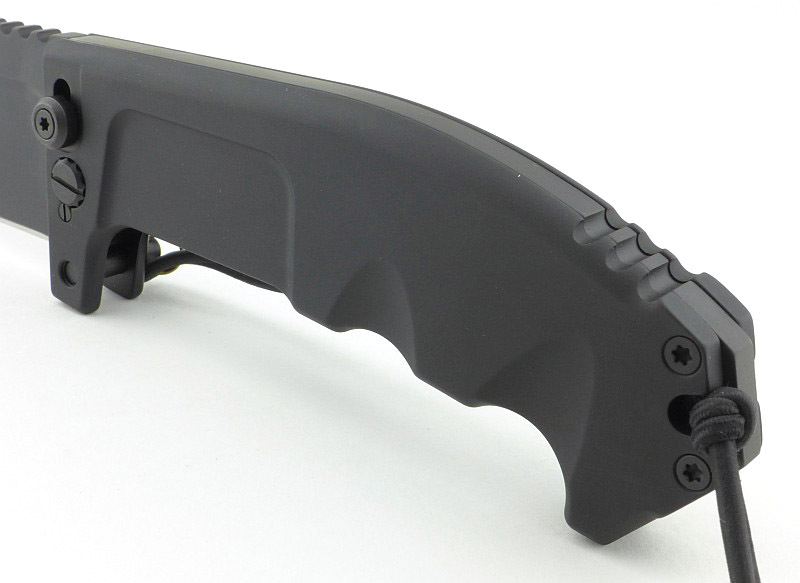 The improved ergonomics are obvious with well rounded edges all round the handle. 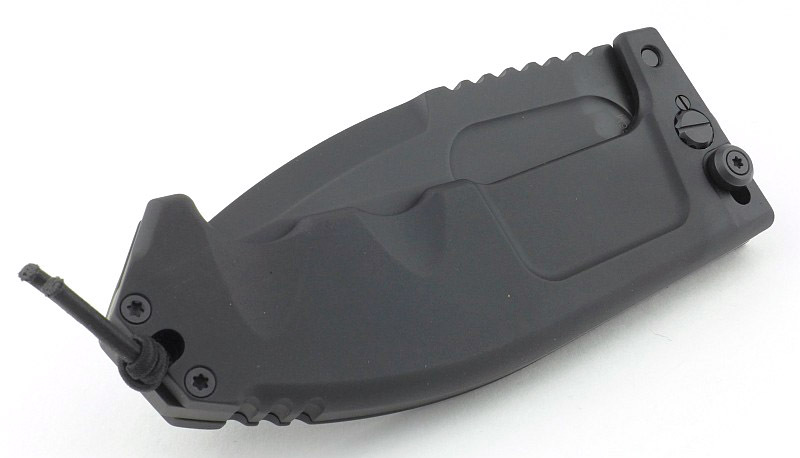 Extrema Ratio’s handle style is recognisable with the first two fingers grip. 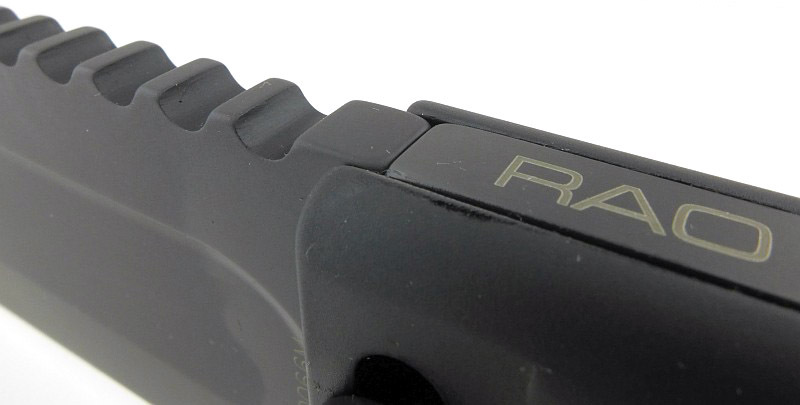 The RAO II also includes a third and fourth finger grip. 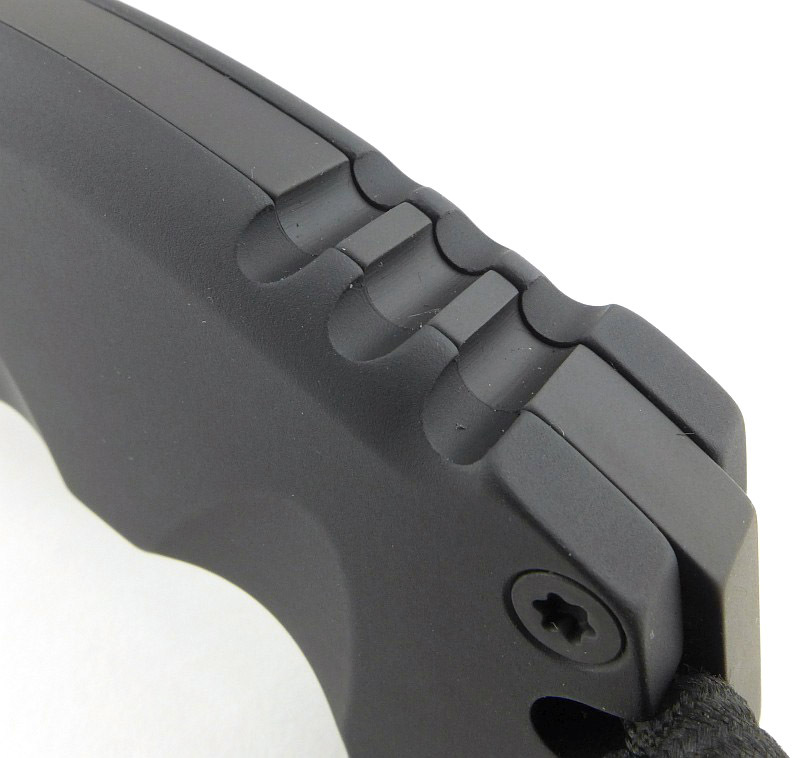 There is jimping at the base of the handle for the thumb, when using a reverse grip. 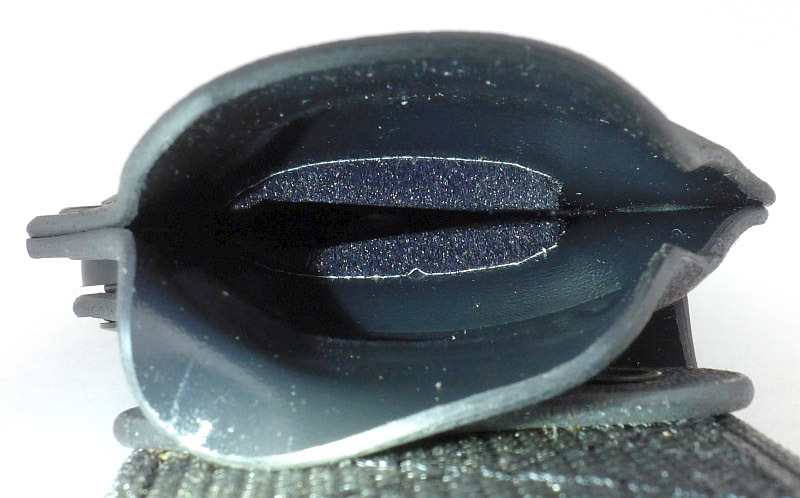 The H is tight and precise, fit and finish is excellent all over. 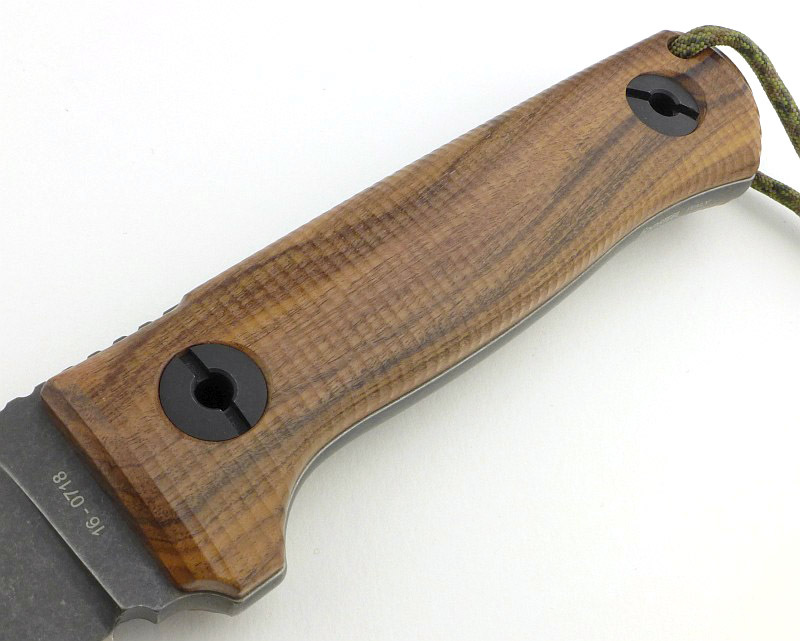 And now onto that purposeful blade. 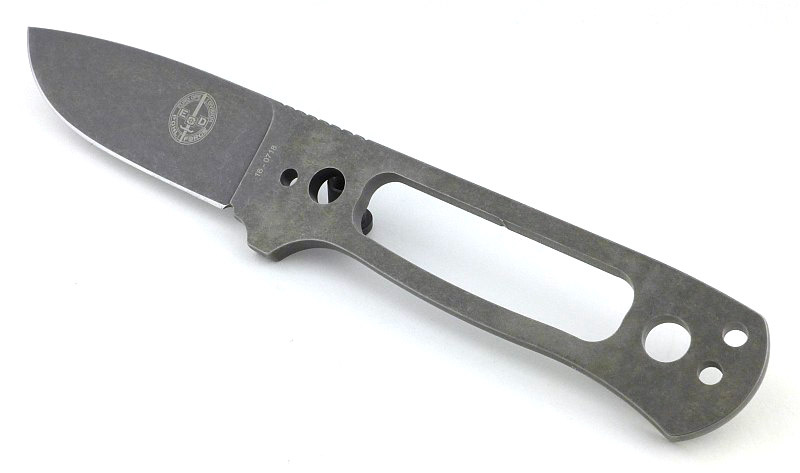 A drop-point with bayonet grind, the RAO II’s blade is very deep. 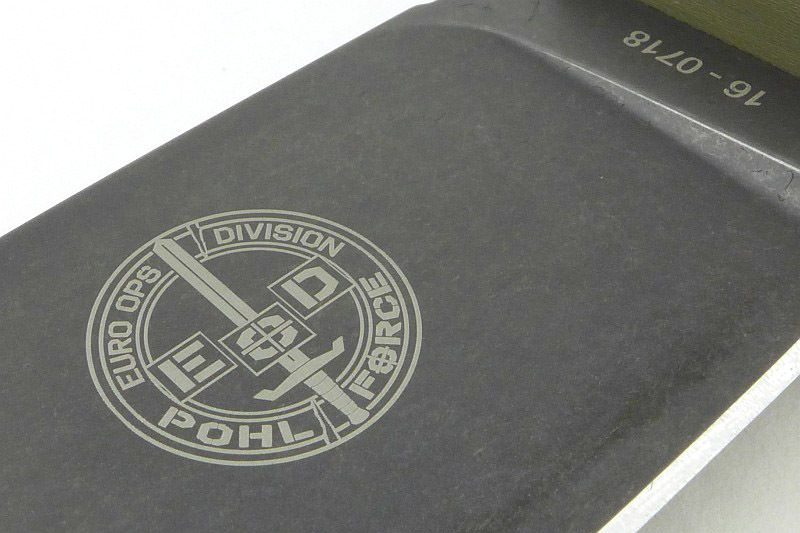 The area where the logo is printed is thinned slightly from the full thickness to provide a grip for opening the blade with. 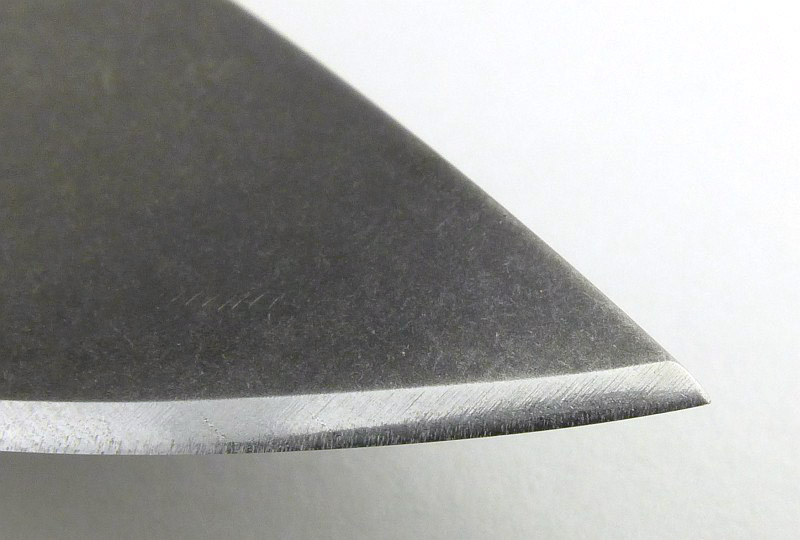 A close look at the blade tip and edge bevel. 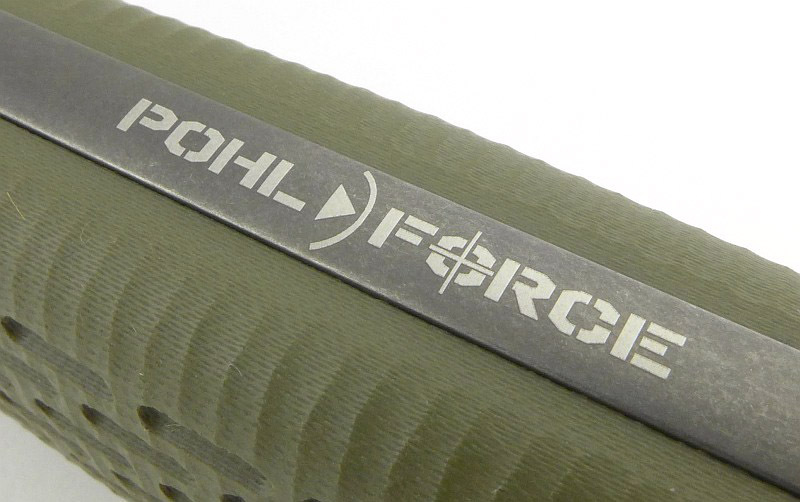 The plunge line is well rounded to maximise strength. 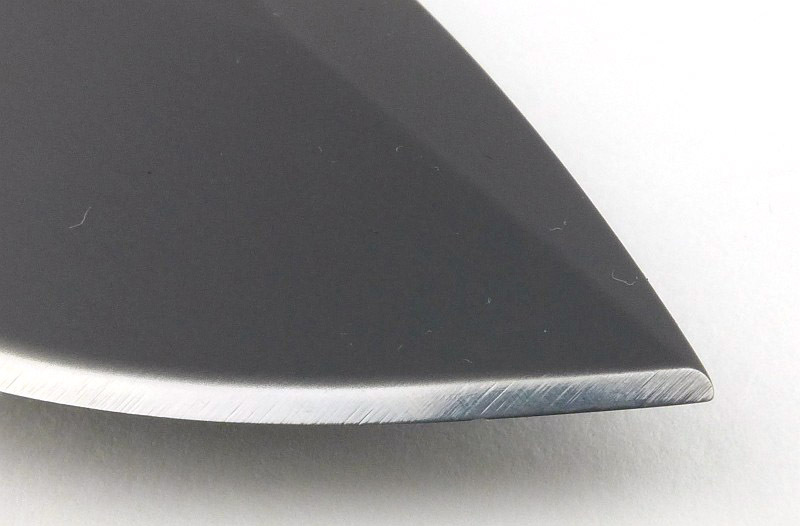 The slight double-plunge effect here is caused by the primary bevel meeting the blade opening grip and its different radiusing. 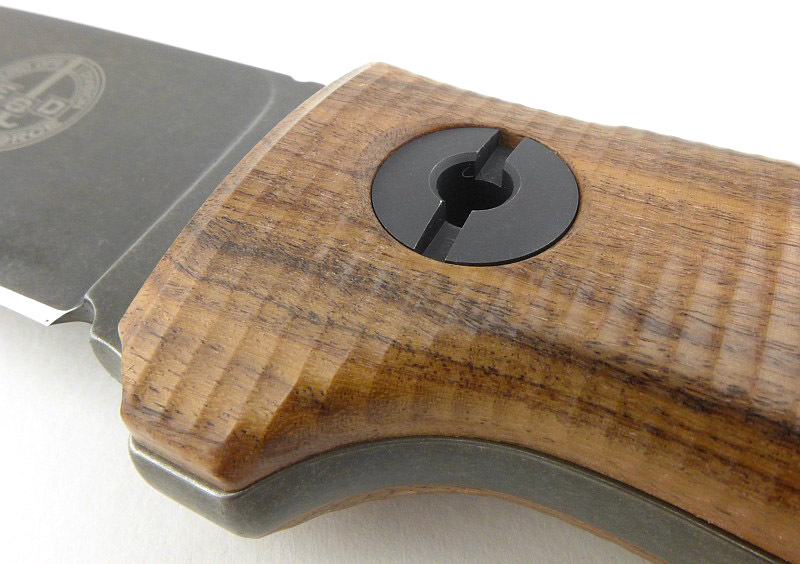 With the blade halfway open, you can get a clear view of the locking notch in the tang. 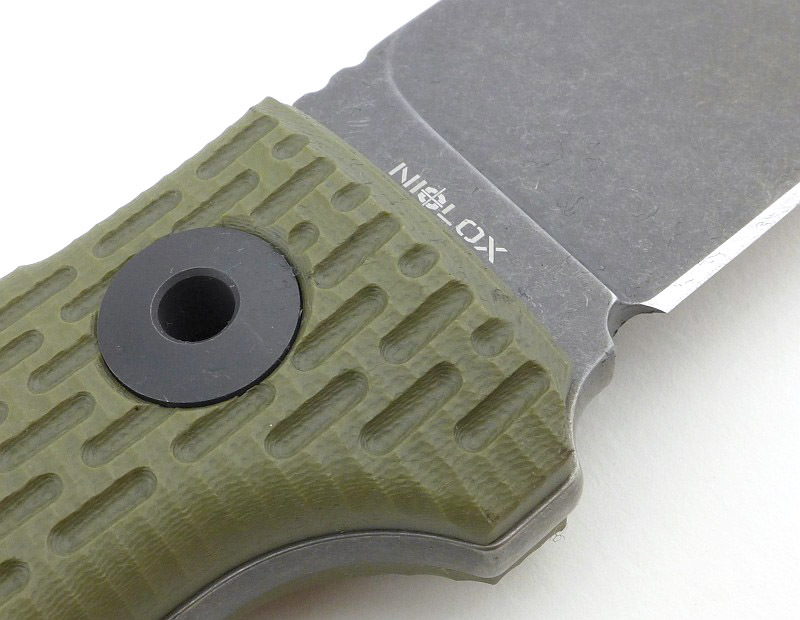 The bolt lock drops into this notch when the blade is fully open. 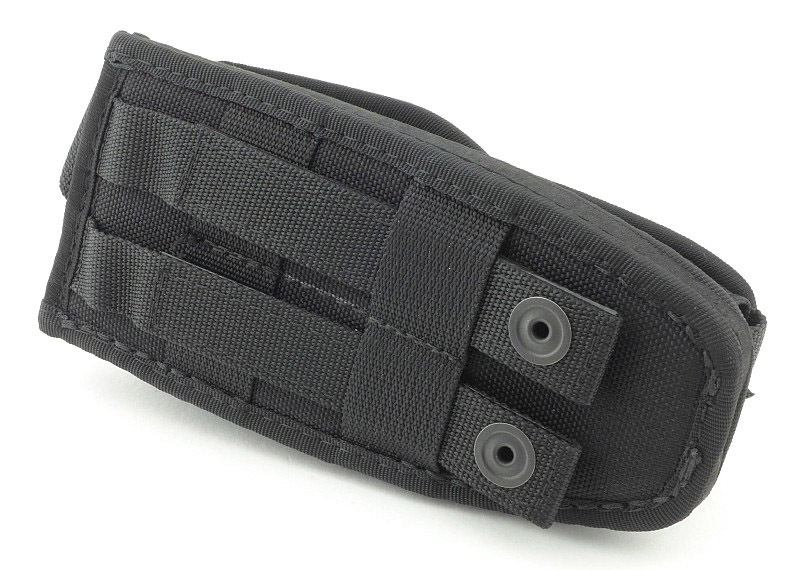 So we’ve taken the folded knife out of the sheath front pocket, opened it and fitted the safety lock pin. 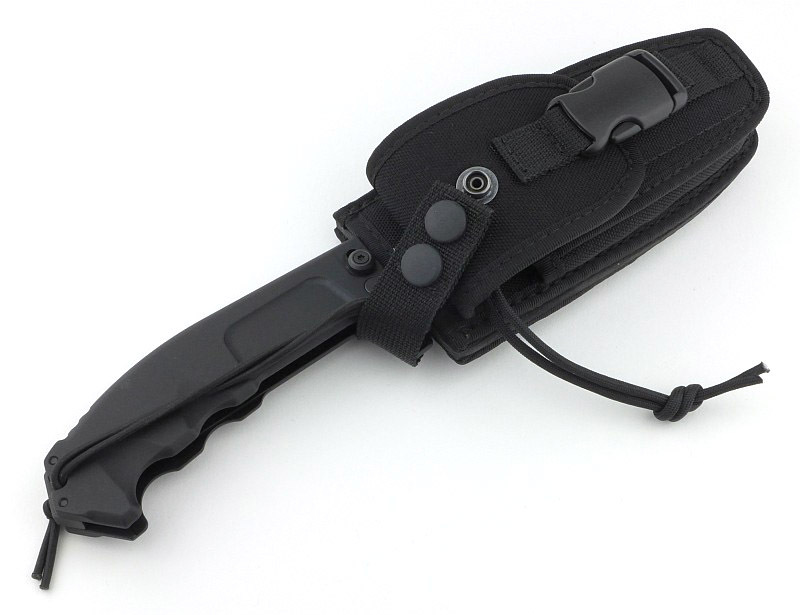 Instead of taking the pin out again to fold it, we can simply fit it into the sheath to carry it like a fixed blade. 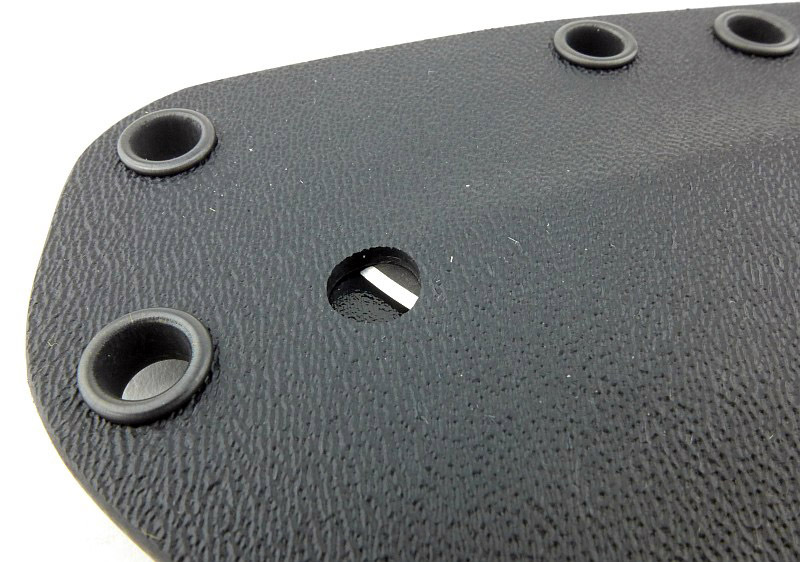 Note one of the press studs is uncovered as the retaining strap now only reaches the top press stud. 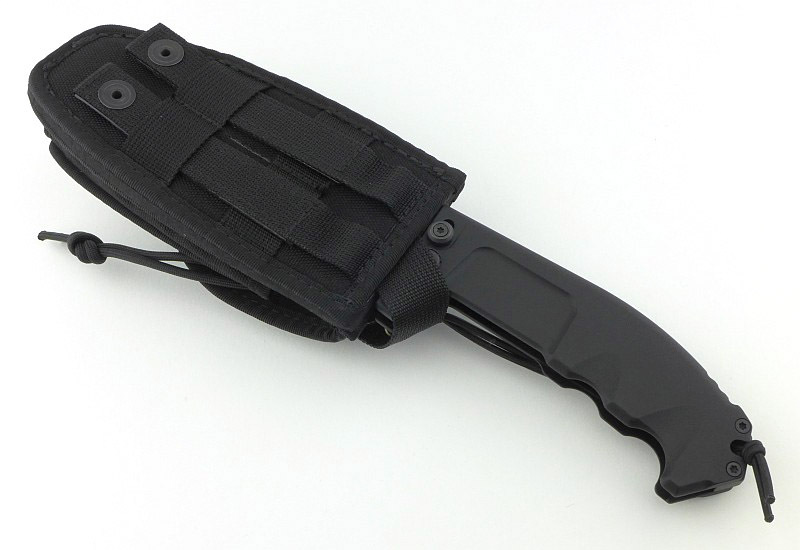 A view from the back with the opened knife sheathed. 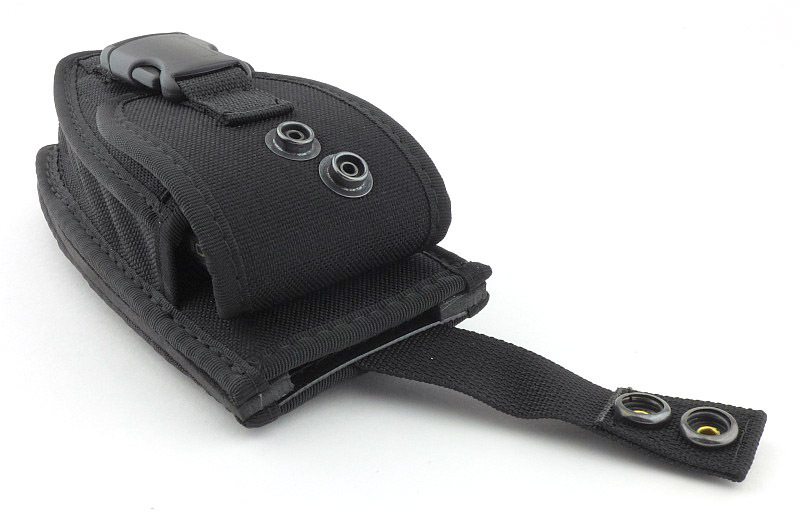 The retaining strap sits over the deep finger guard, giving it a very secure hold. 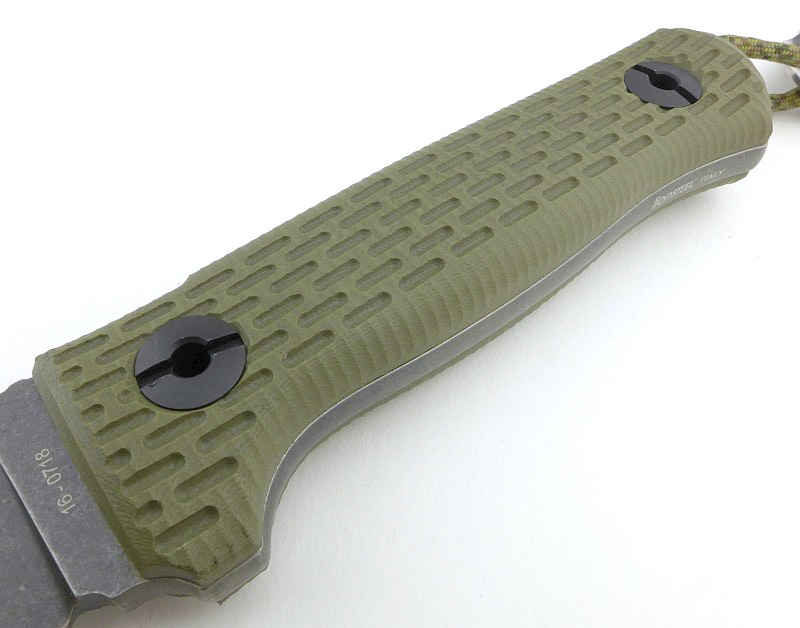 If you ignore the pivot bolt and bolt lock button, the impression of this knife is not of a folder, but of a chunky fixed utility knife. 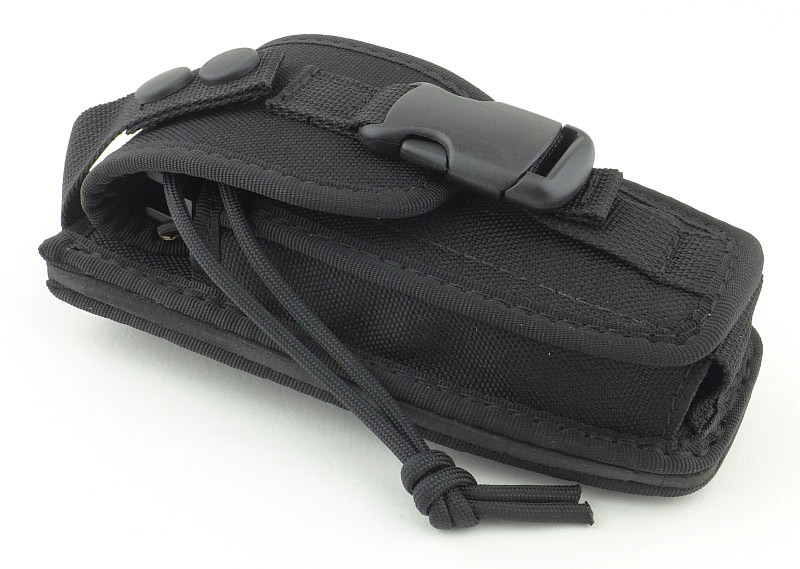 In a bare hand (I take XL gloves) the finger grips are not quite in the right place. With gloves on they are a better match, but are definitely a better fit for large gloved hands. It’s big, but somehow seems perfectly reasonable once you pick it up. 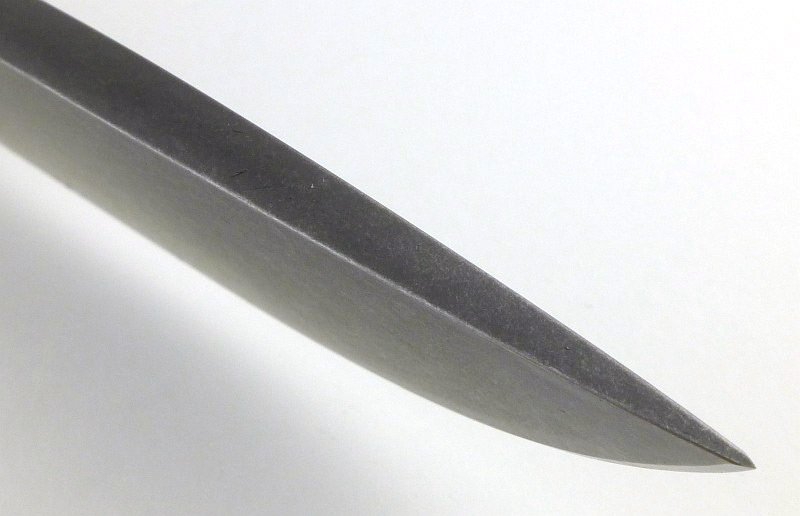 However, that handle is a significant size and the blade very deep, just look at the next photo. 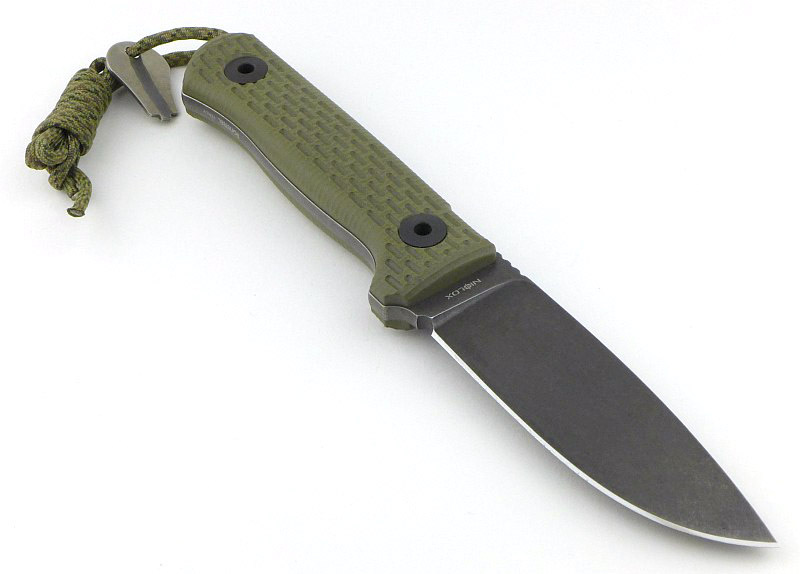 Putting the RAO II next to a full size fixed blade (using the Extrema Ratio TASK J in this case), its blade is not as long, but it is larger in every other way – and this is a folder! 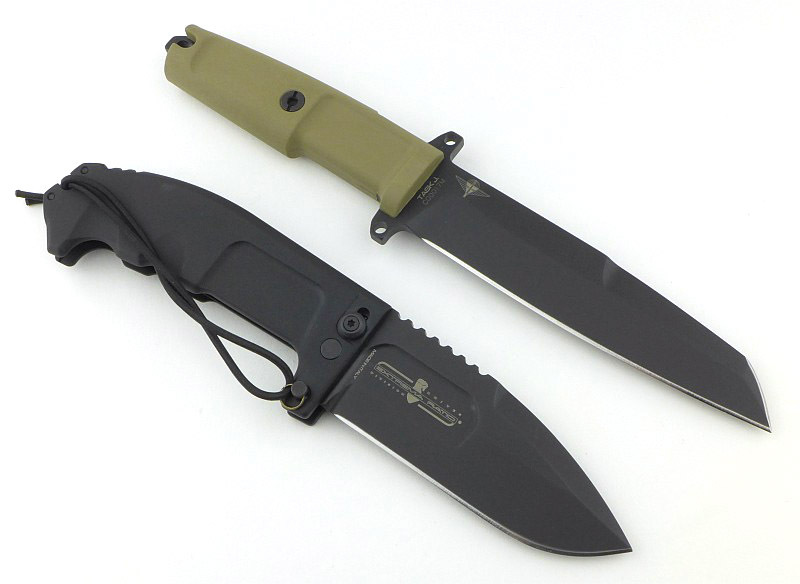 Extrema Ratio have proven time and again that they put real effort into all the details, including the sheaths. 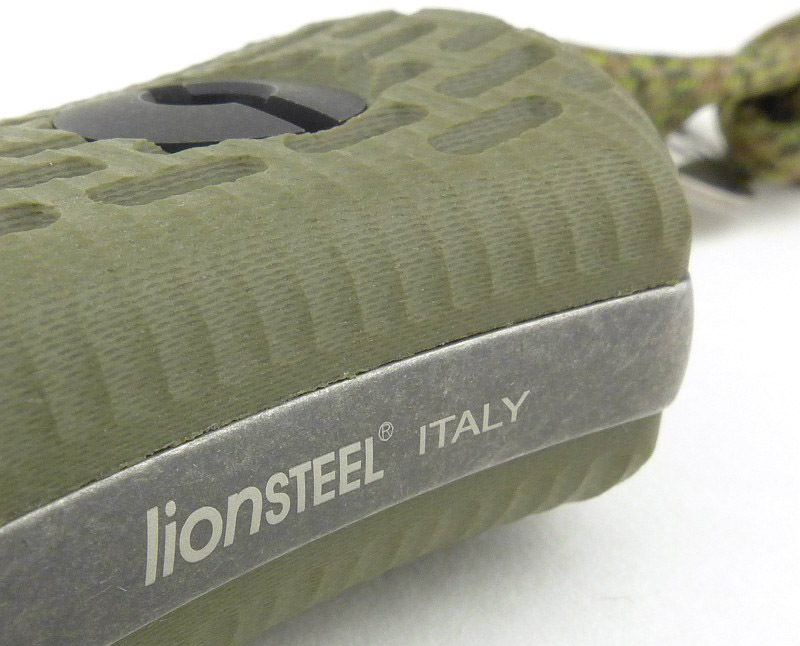 Their sheaths are strong, great quality, and highly functional. 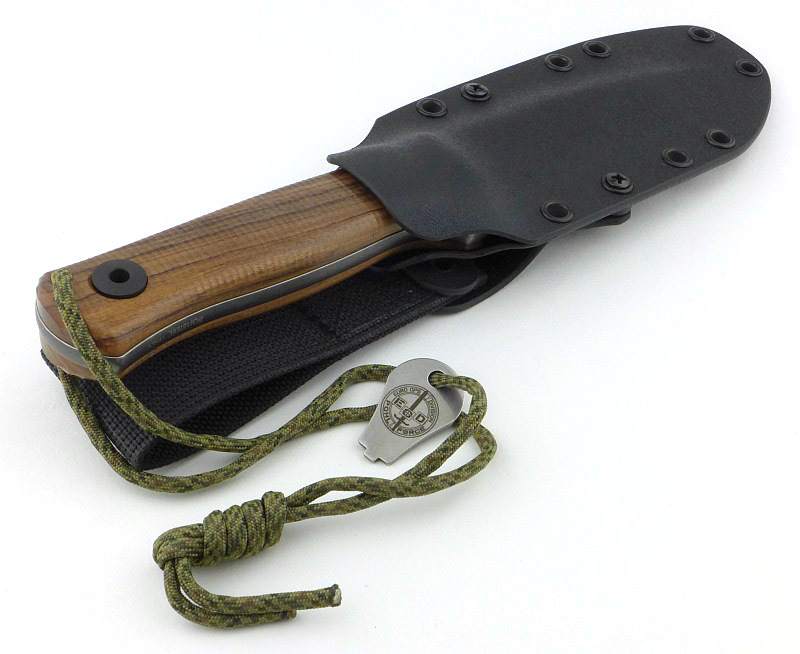 For the RAO II, this is taken even further, as the dual function sheath is a carry pouch for the folded knife (plus sharpener) as well as a sheath for the RAO II as a fixed blade. 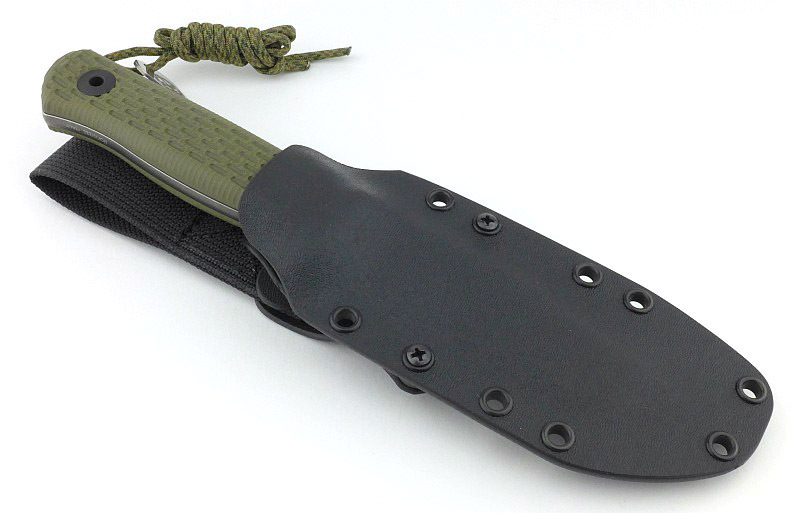 Due to the dual design, the RAO II does carry high on the belt if used as a fixed blade sheath. 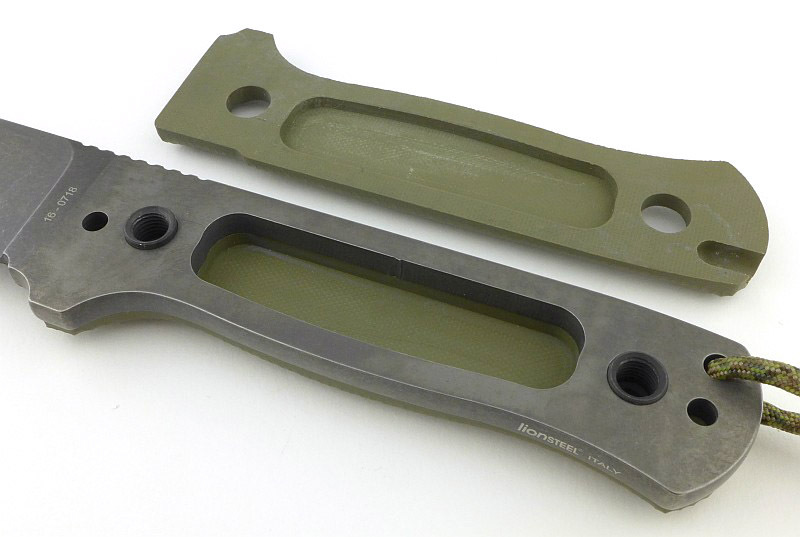 This is because there is no hanger for the belt loop which would normally drop the carry height (like it does on most fixed blade sheaths). 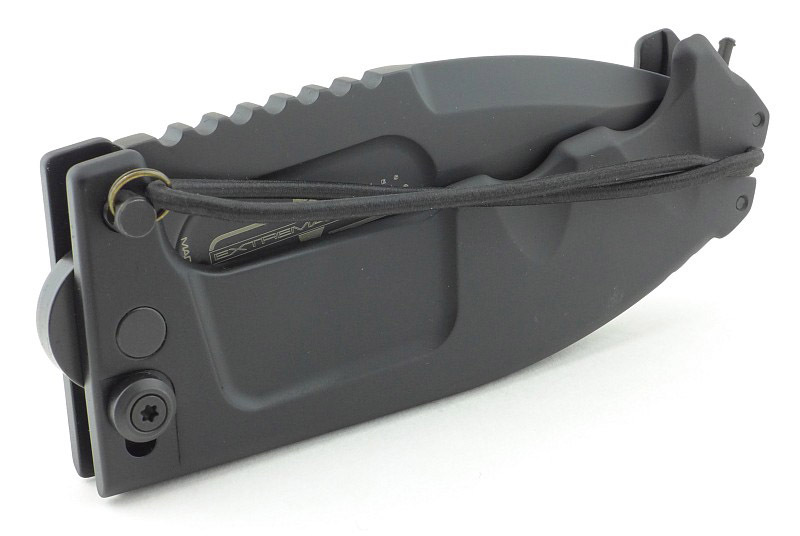 The included sharpener, I’d class as one of those emergency options which is great because you have it with you, but not for regular use. I’m glad it is included, but won’t be rushing to use it. 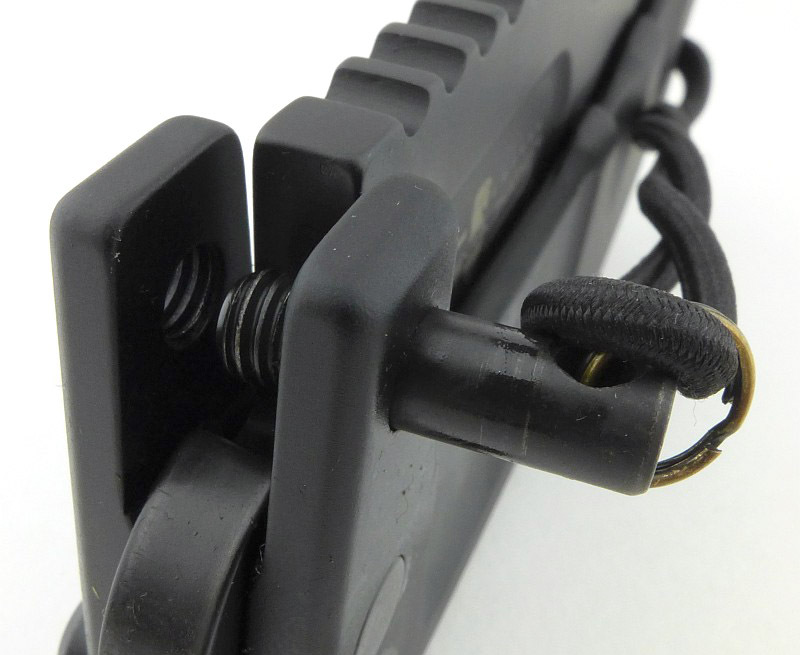 This is a short video taking a look over the RAO II and a technique to make the refitting of the safety lock pin easier. 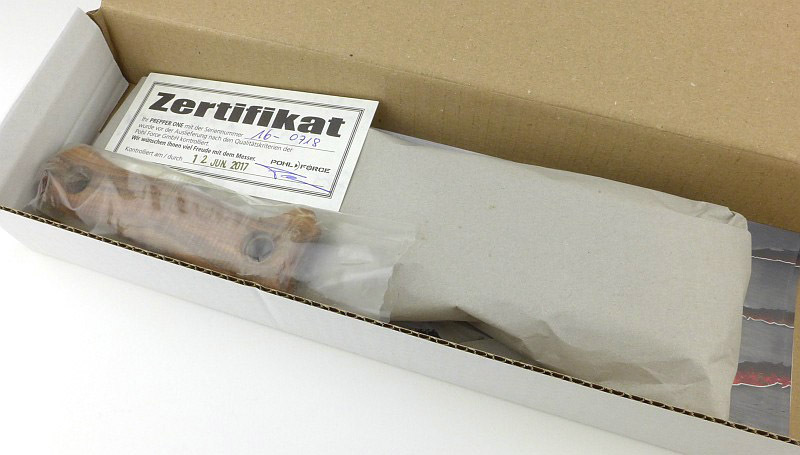 Now you’ve seen the video, and the safety lock pin coming in and out, you might come to the same conclusion I have. 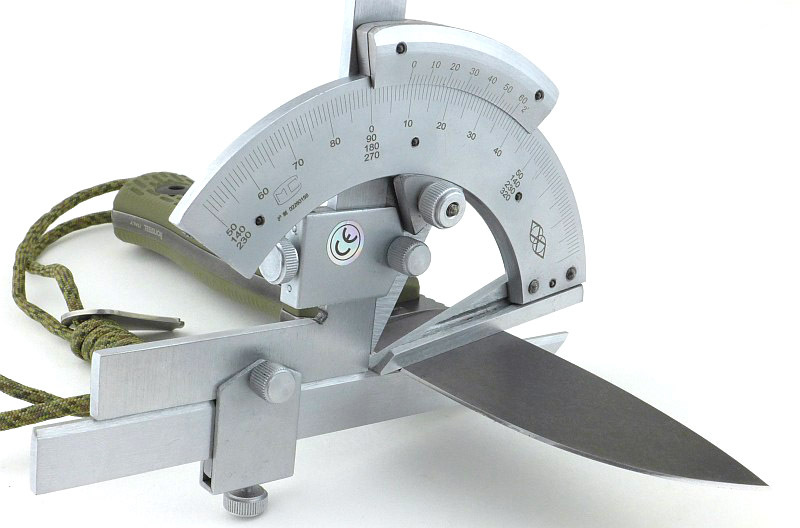 This is a great feature, and one I use, but there are many times I want to use the RAO II as a large folder and be able to open and close it quickly. 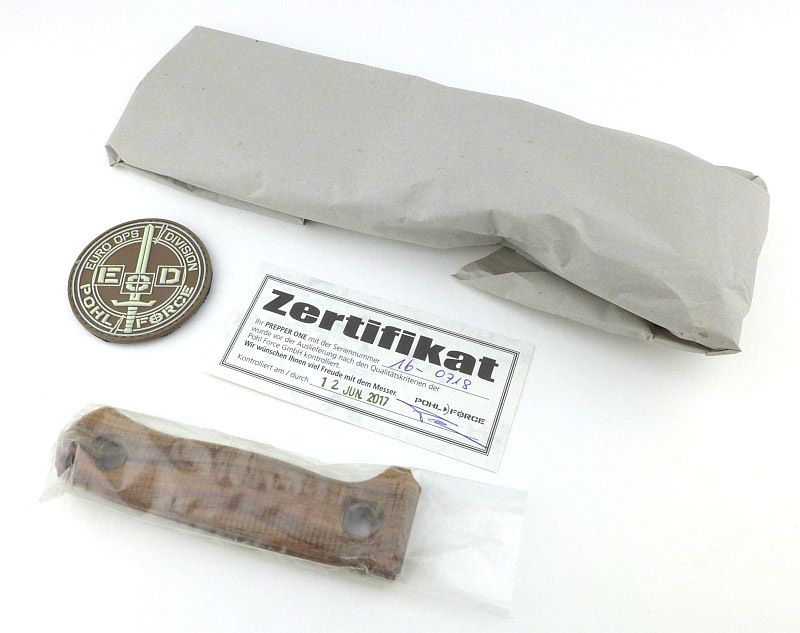 In this case the pin is not being used, and if left attached, as it comes with the knife, it then flaps around and hits your hand, the knife and anything else in range. 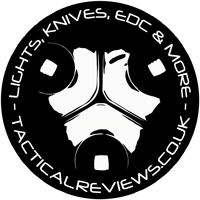 I got sick of this, so decided to alter things slightly and make it easy to remove the pin entirely. This is my set-up. 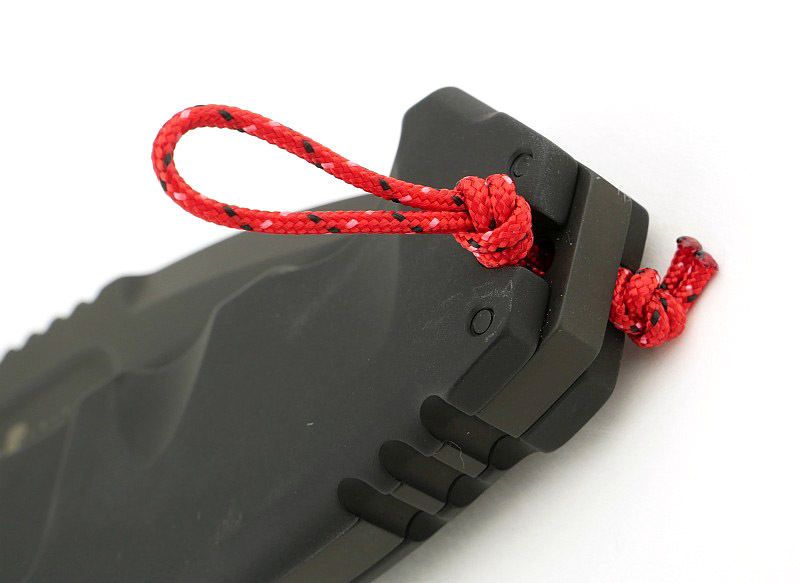 I’ve taken the original black elastic out of the lanyard hole and added my own loop using 2mm sailing cord. 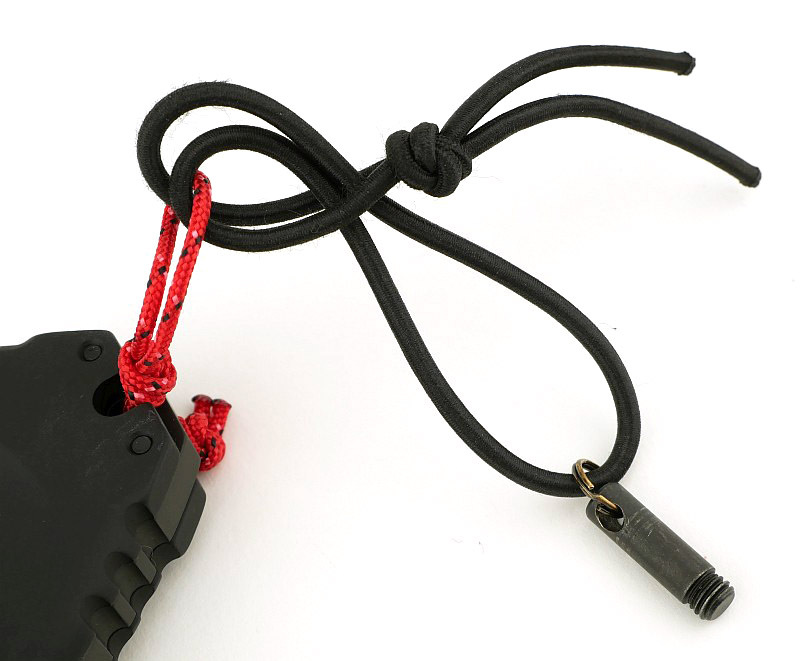 The original elastic cord with the pin on it is then looped through the sailing cord in a larks head knot. 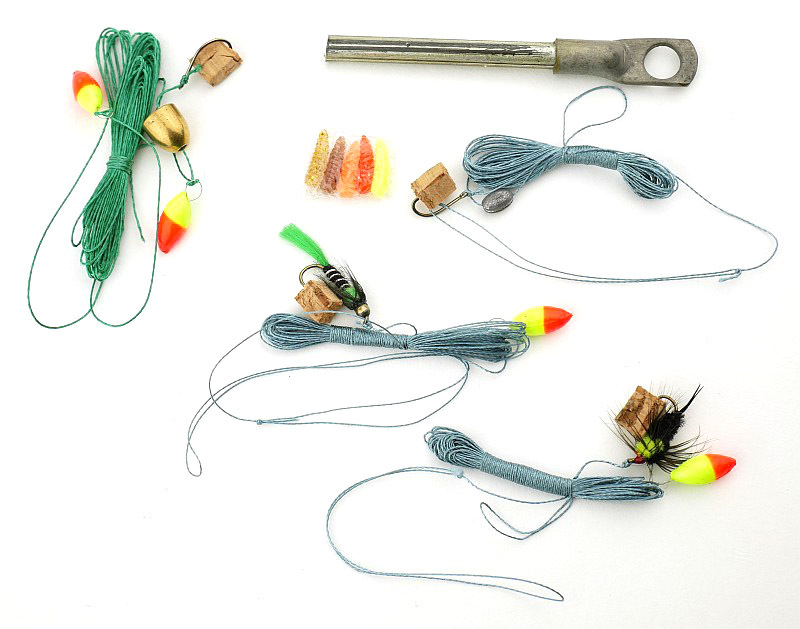 This larks head knot can easily be loosened and slipped off the sailing cord. 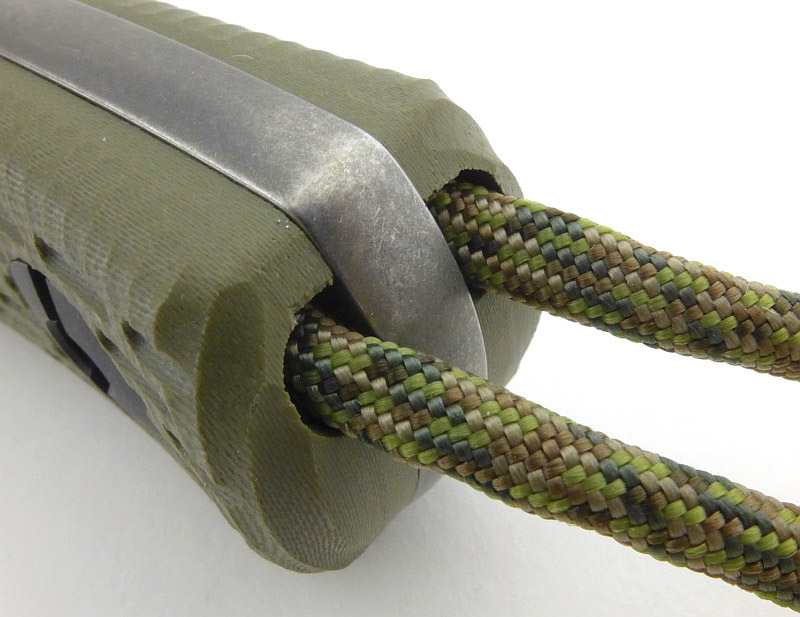 Two overhand knots keep the sailing cord set in the position I wanted. 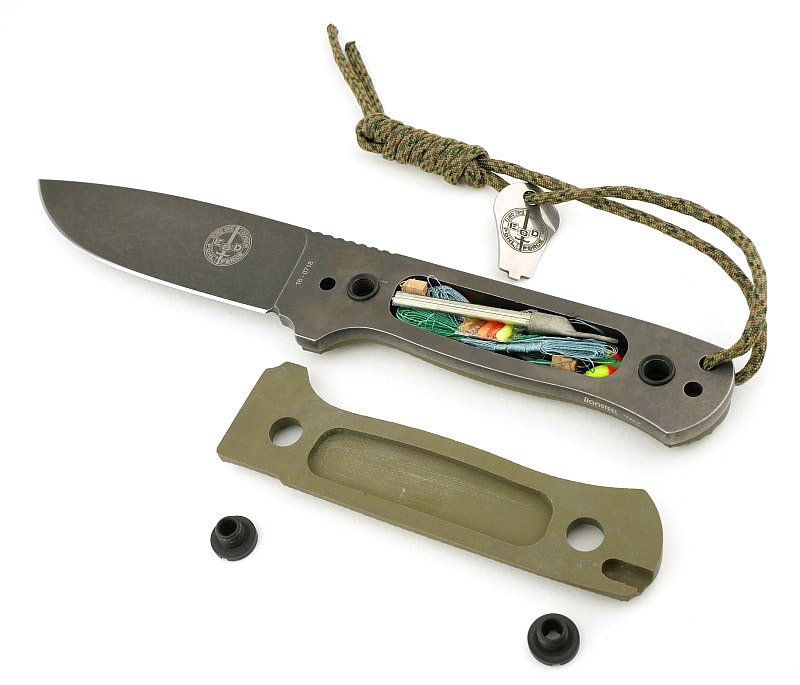 With this easy modification, that excellent safety lock pin can be set aside for when you want to use the RAO II in more extreme ways, but for general use and really making the most of this knife as a folder, it becomes more of a hindrance. 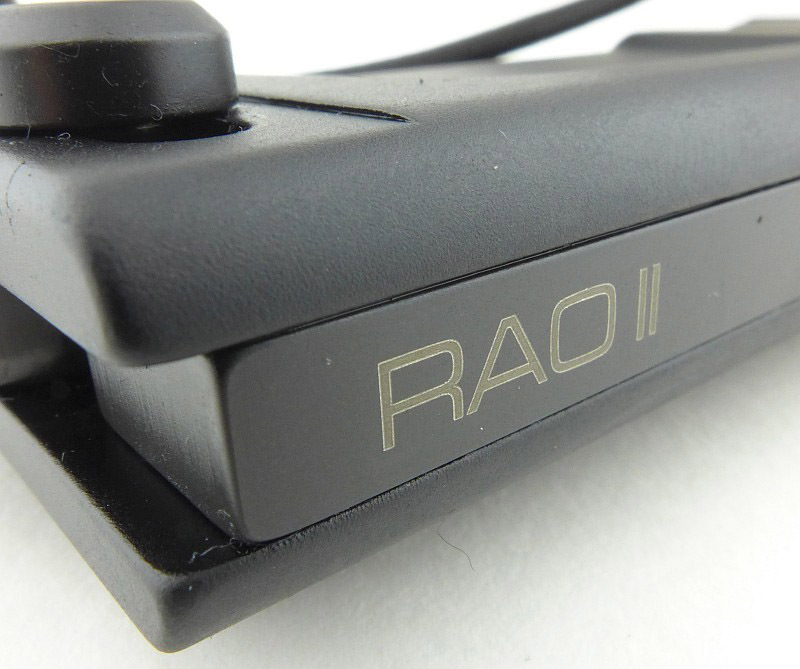 Without that hindrance the RAO II becomes fun to use and revels in its stature and super heavy build. 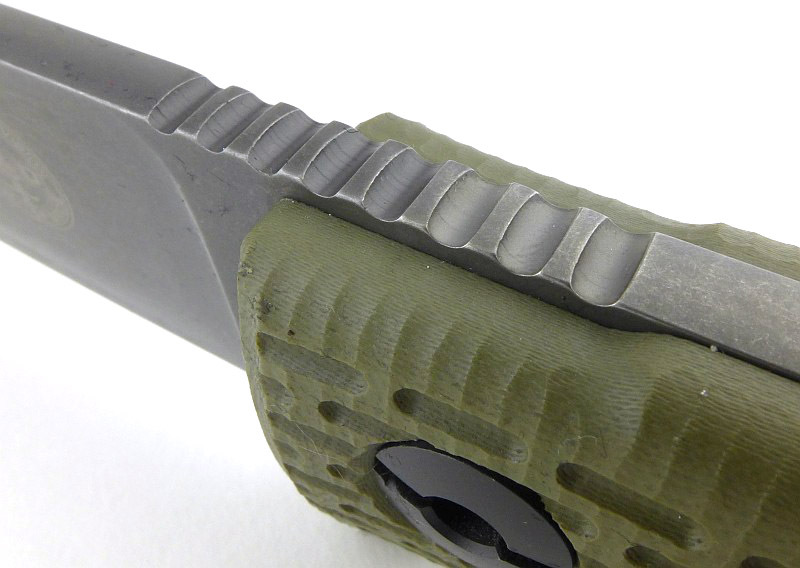 The bolt lock works so intuitively; as you grasp the knife to fold it, your fingers naturally pull on the bolt as you press the blade into the handle. 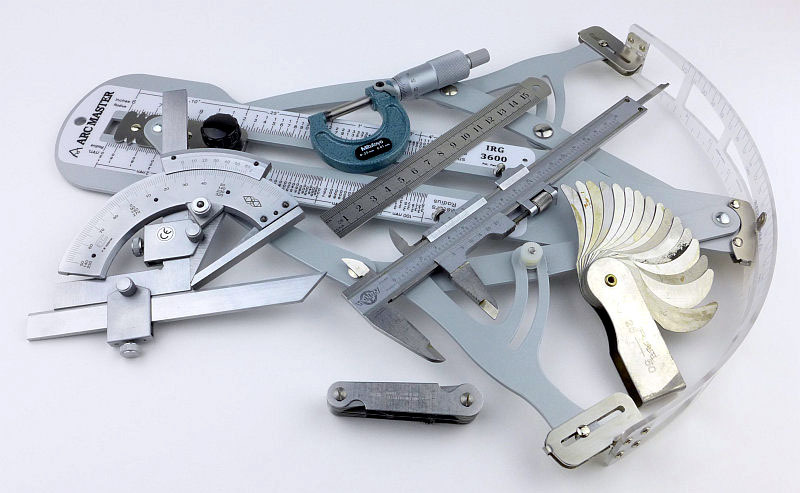 Unlocking and folding in one motion, as shown in the video. 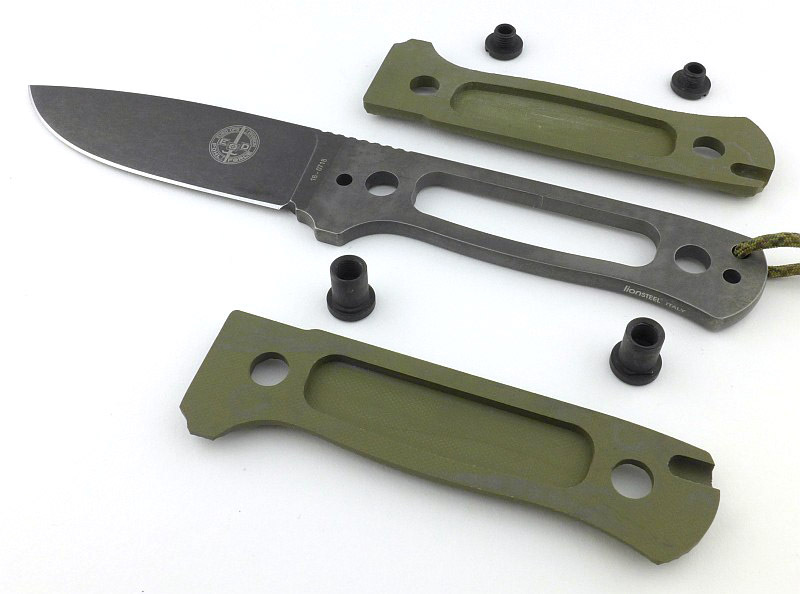 Talking of super heavy build, this folder is exceptional in the trust you can put in it. 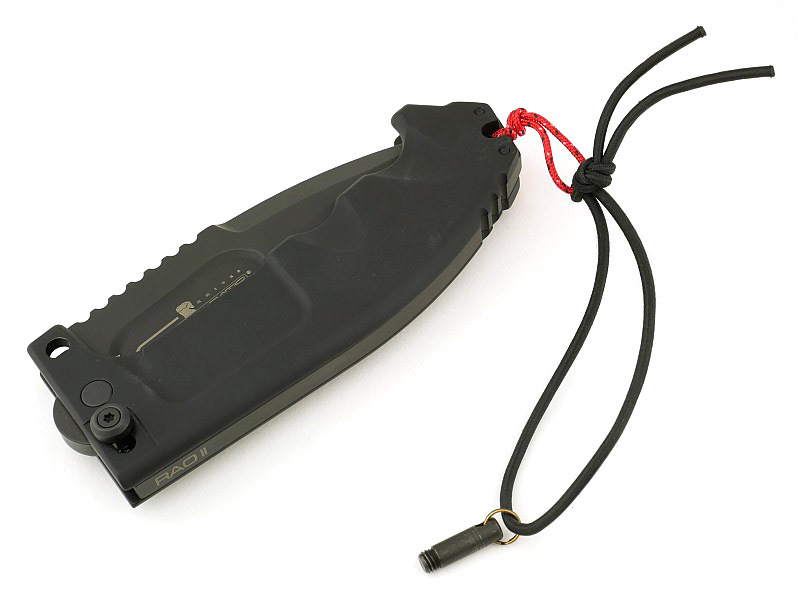 That simple idea of the safety lock pin, makes it a folder you can treat just like a fixed blade and not have any concern it might fold on you. 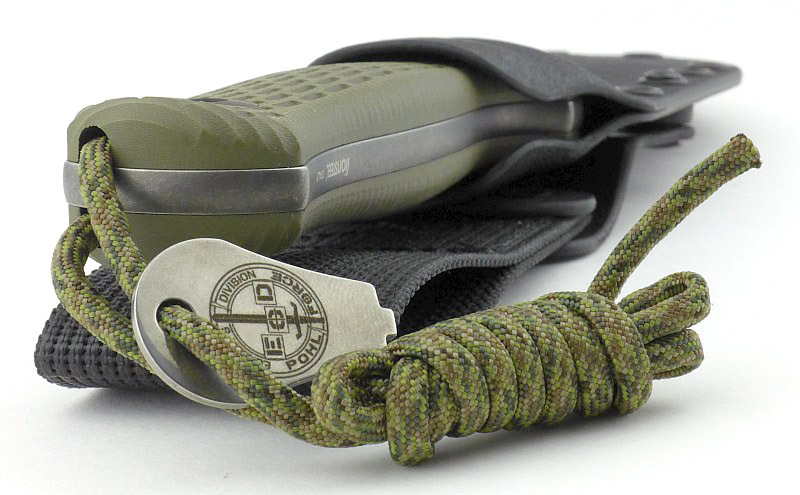 Described by Extrema Ratio as a ‘compact’ survival knife, the knife in its sheath is not particularly compact; the dual functions of the carry pouch and fixed blade sheath bulk it up somewhat. 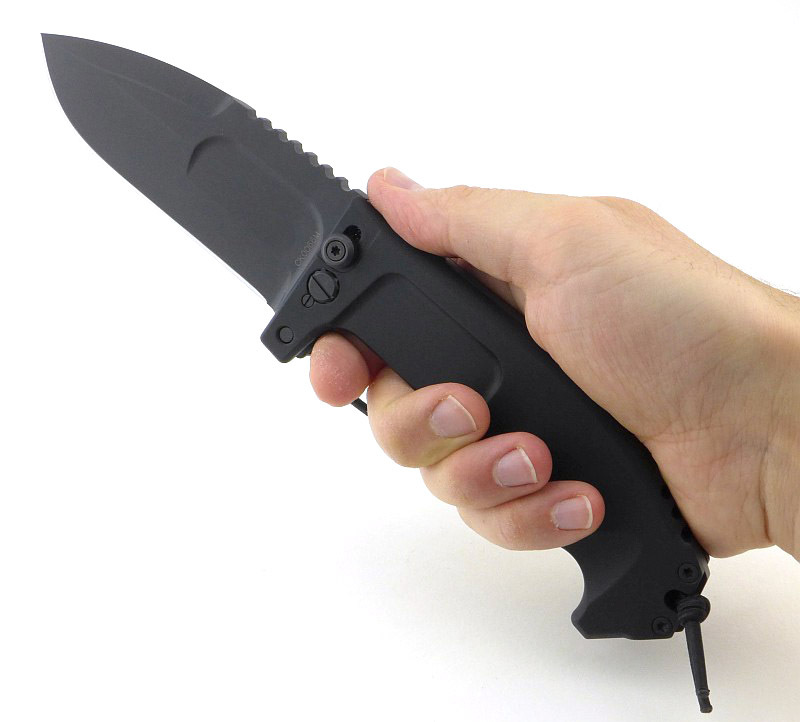 The knife on its own however, for the size and strength of knife you get to use, is nicely compact thanks to being a folder. 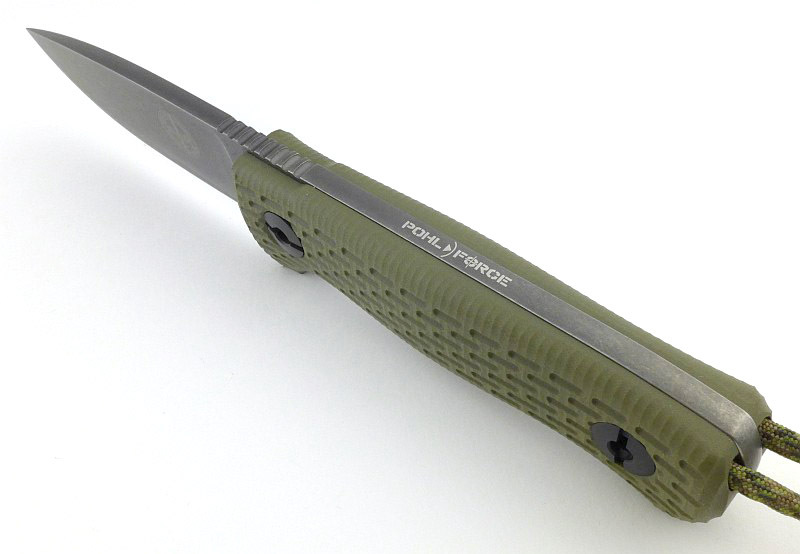 I’m not going to suggest that this is the most practical knife for general use, but it will make you grin when you bring it out – every time. 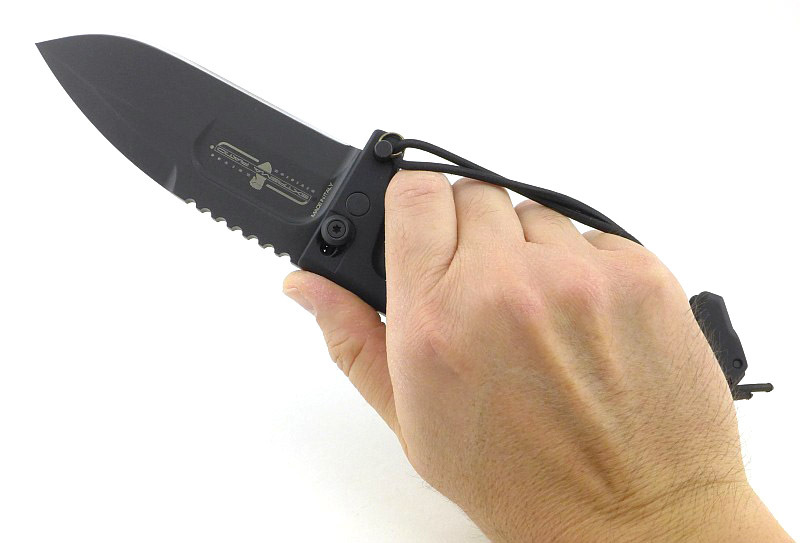 Safety lock pin fixes the blade open with complete reliability. 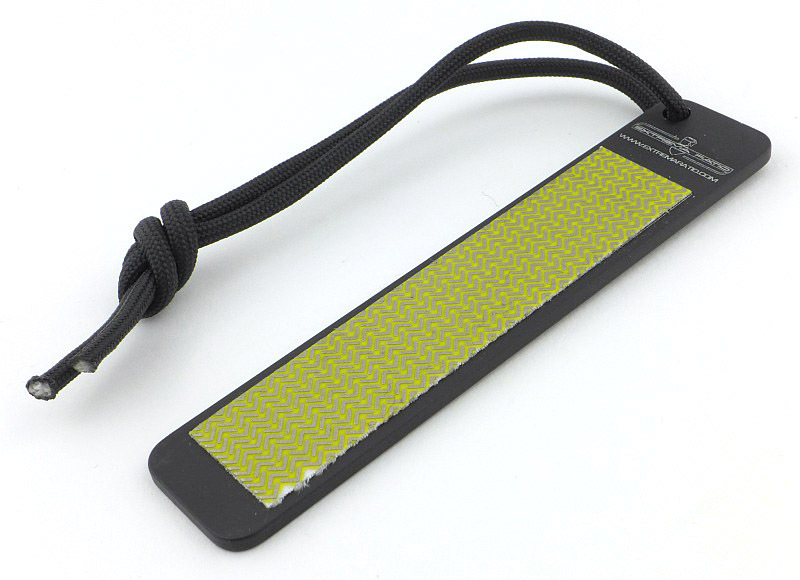 If not fitted the safety lock pin flaps around on the elastic cord. Superb dual function sheath (pouch/fixed blade). 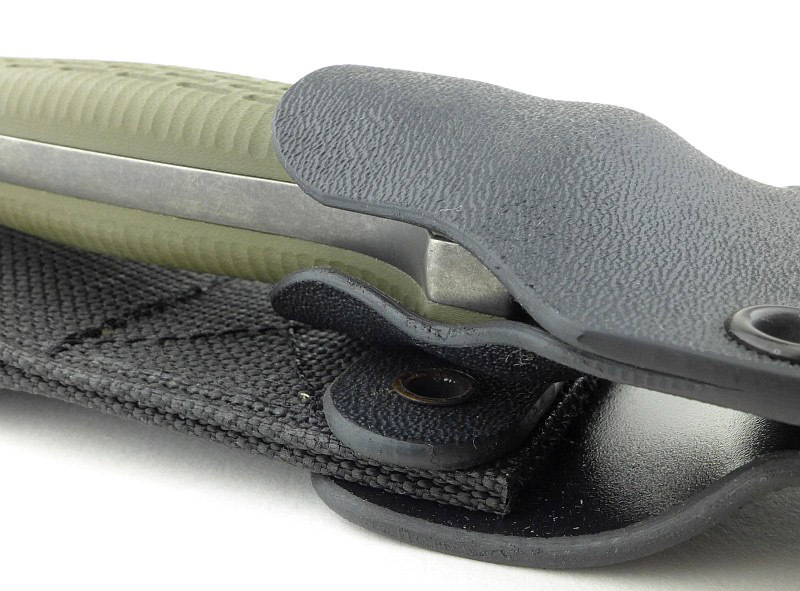 Supplied sharpener gets in the way. 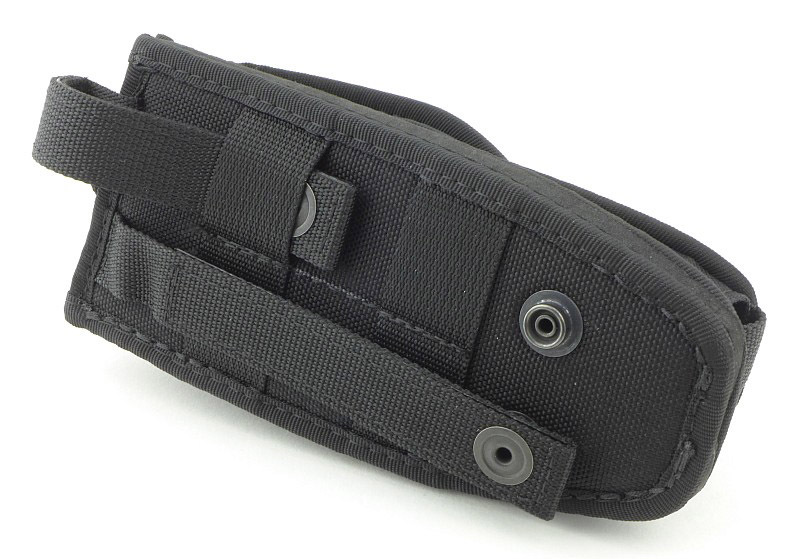 MOLLE compatible sheath. 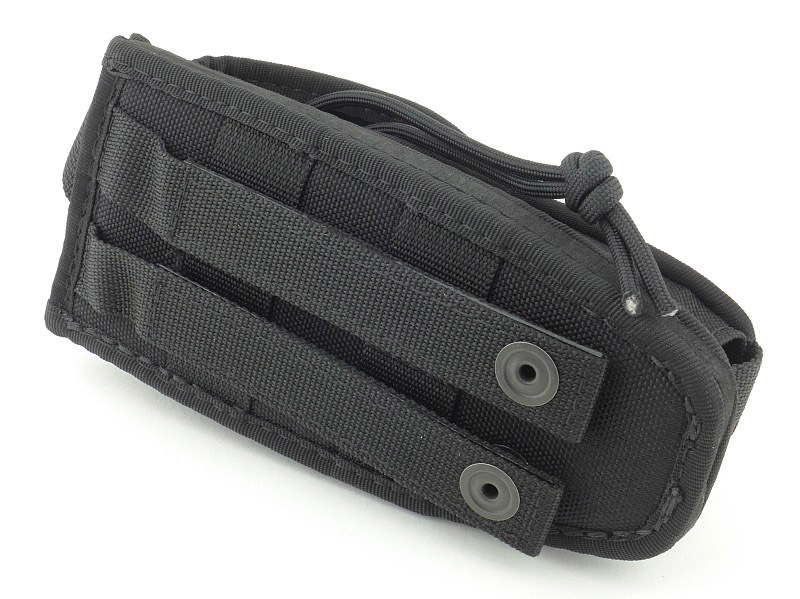 Combined pouch / sheath is a little bulky. Super strong build. 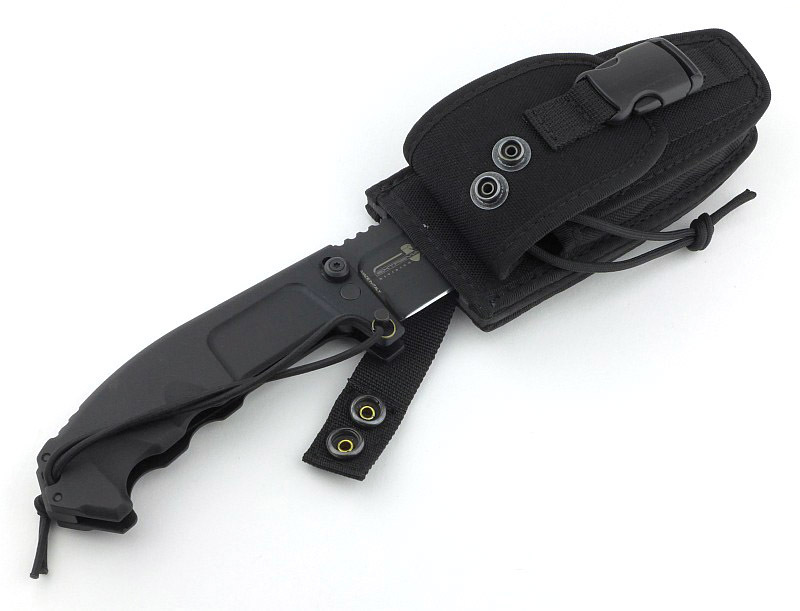 Sheath is right-handed only when the blade is open. 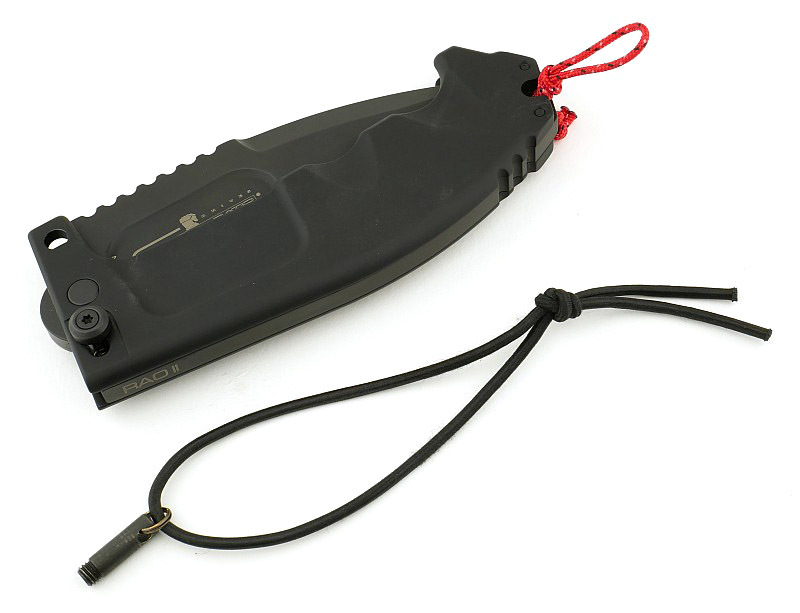 RAO II blade shape more useful to most users.